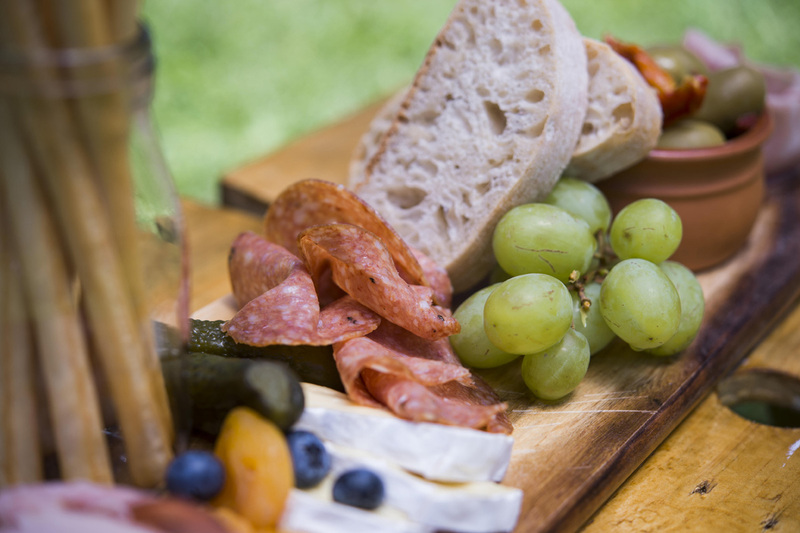 On the hunt for some delish grub for your guests? From cakes and desserts, to sit down feasts, our catering vendors have all your food bases covered. 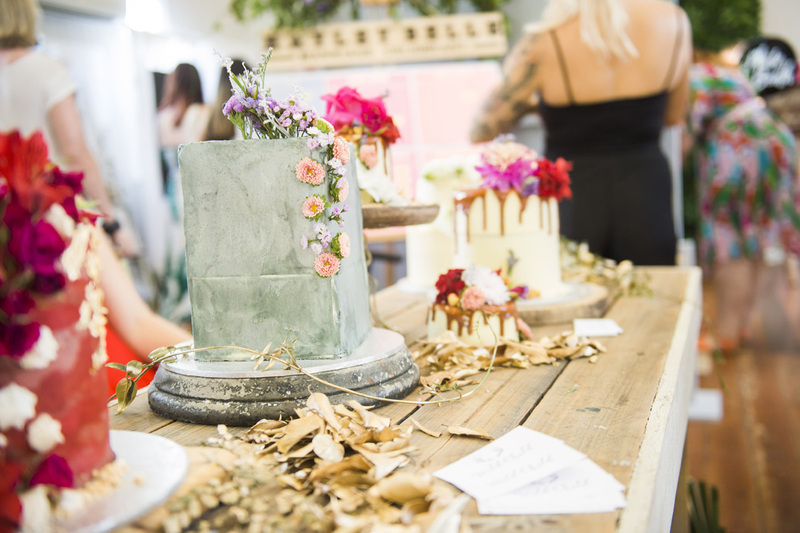 Wild Child Catering specialises in creating 100% bespoke cakes and drool-worthy dessert tables. 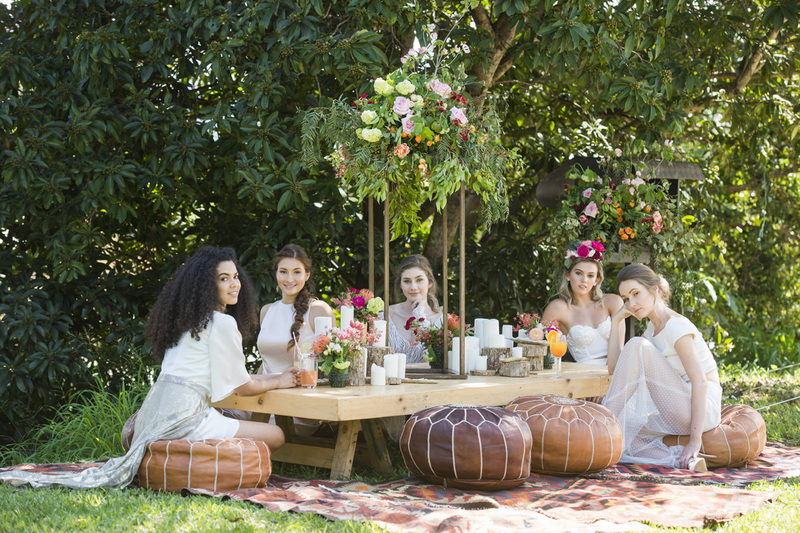 Creator Kendra is a master at putting together the most amazing, Instagrammable dessert spreads and is a genius at eclectic, vintage and boho-chic themes. Kendra works closely with her clients to customise one-of-a-kind menus based on couples wants and needs. You want a pie table? She can do that! A skyscraper of Parisian macaroons? You got it! Have your heart set on a donut tower? No problem!!! We were so lucky to have Icecream Curls with us at the fair! It was an absolute scorcher and they had us cooling down with delicious, super fun ice-cream curls. 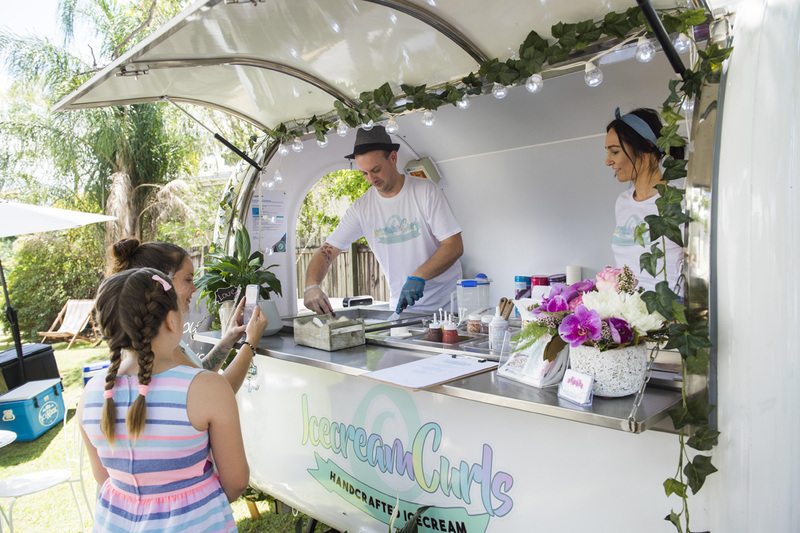 This fab biz create delicious frozen treats that have people craving more up and down the Sunshine Coast! 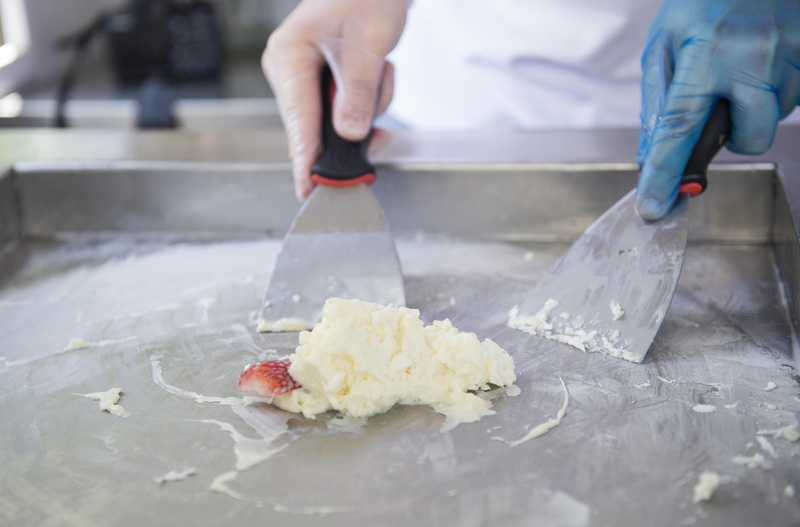 The first of it’s kind in Queensland, Icecream Curls is made from scratch by husband and wife team Sam and Dannii. All of their fresh ingredients come from local suppliers and they’re strong believers in keeping things local and supporting others chasing their dreams. Community over competition! The Little Bluebird Fine Cakes and Sweets create gorgeous individually designed wedding cakes and coordinating sweets for lovely couples who are looking for something special on their big day. With a timeless and distinctive style that makes them unique, The Little Bluebird offer crisp, elegant and designs that are executed with perfection and taste out of this world. 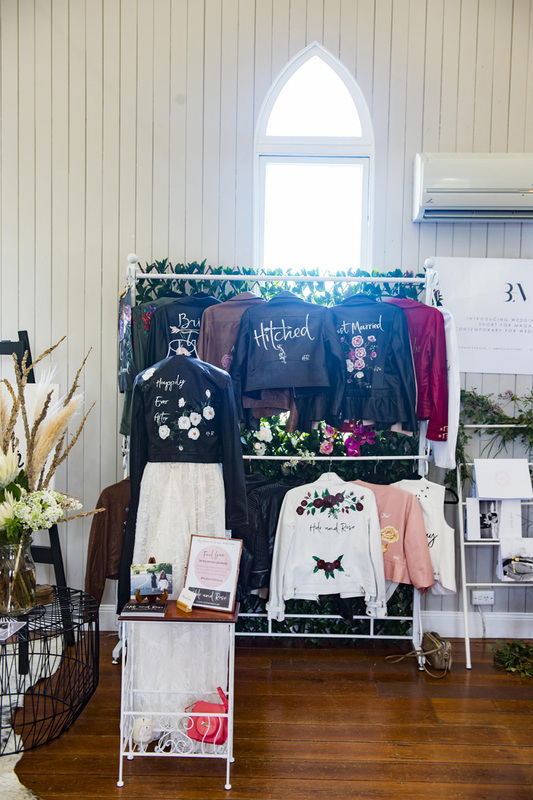 Hat’s off to Parma Street Food (formerly known as Maribelle’s Street Food) for not only being a favourite with our guests, they were also one of the friendliest vendors at the Sunshine Coast Wedding Fair! 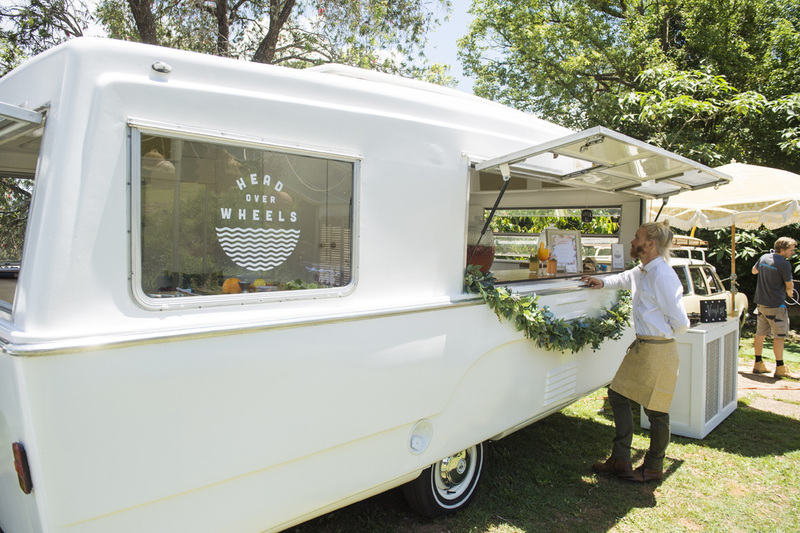 The only food truck of its kind on the Sunshine Coast, Maribelle’s offer different menu choices for any occasion, ranging from Italian antipasto platters, cheese and fruit platters, canapes and even a buffet and restaurant style option for the couple looking for a sit-down feast. They really have all the bases covered for a delicious and original wedding menu that will keep your guests talking about your day for years to come. Thank goodness for Head Over Wheels! These guys kept everyone cool with their refreshing drinks on such a hot day, plus they looked great and tasted soooo good! 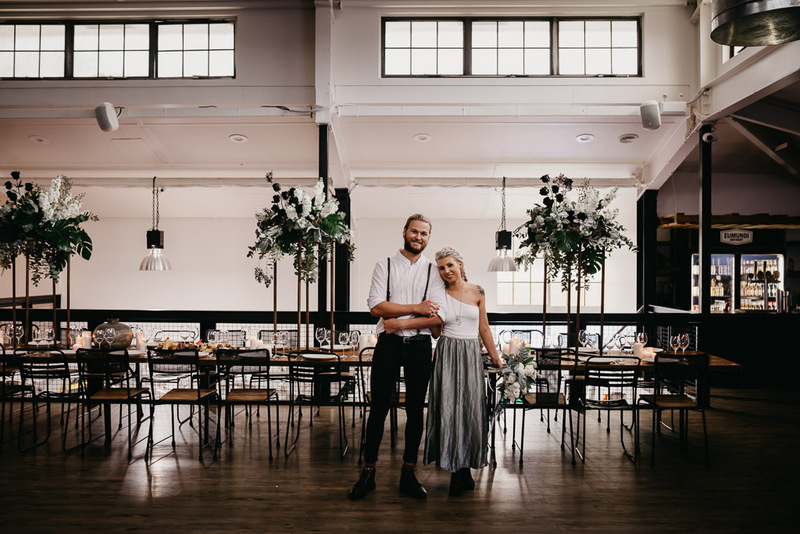 New to the Sunshine Coast, since May of 2017 they have already helped celebrate multiple weddings, birthday parties and community and corporate events from Byron Bay to Noosa. Not a bad start! 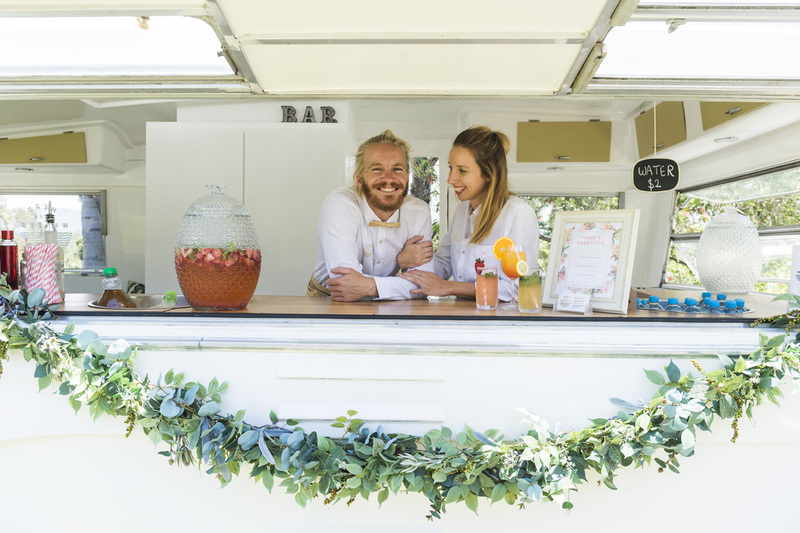 Their gorgeous mobile caravan bar is an absolute wow factor, guaranteed to make your celebration even more memorable. Operating as a BYO alcohol and beverage service, the Head Over Wheel’s friendly and talented bar staff ensure that your guests are happy and hydrated at all times. Plus, their amazing decor and relaxing ambiance create incredible photo ops! 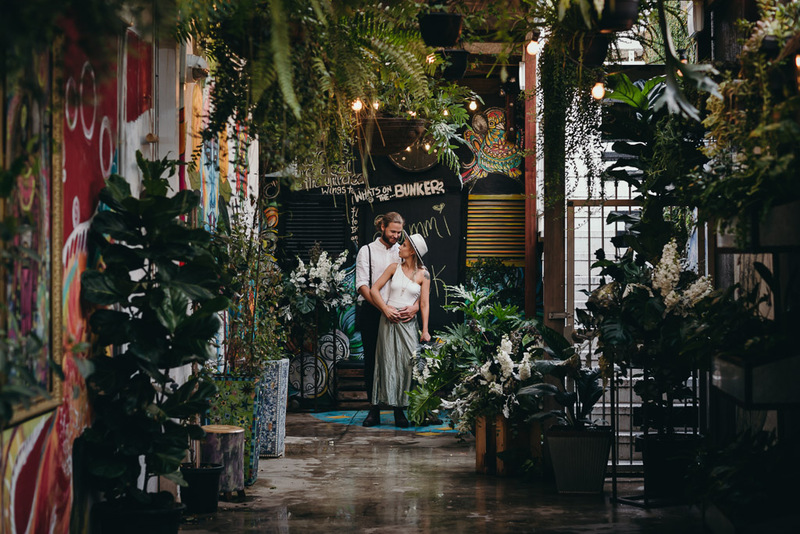 We all know that the Sunshine Coast is known for its pristine beaches, but there are also some amazing venue’s tucked away in this beautiful part of Queensland. We had some of the coast’s best as part of our line up at the last Sunshine Coast fair and they didn’t disappoint! 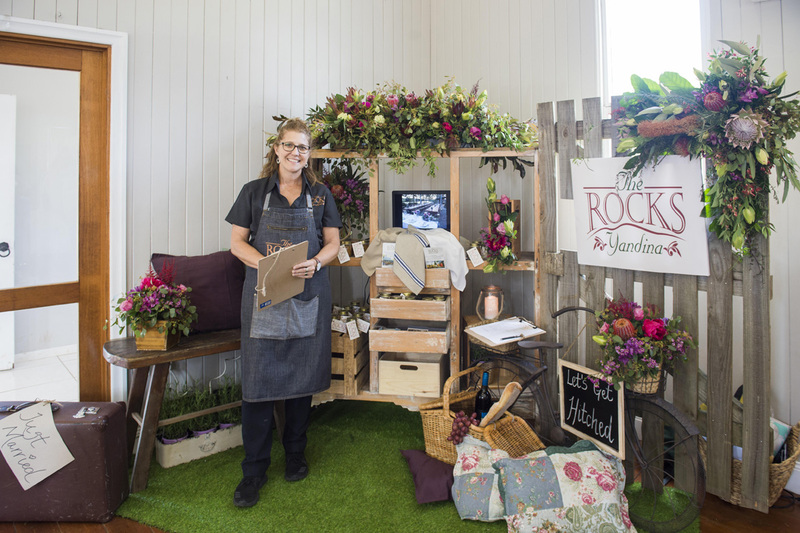 The Rocks Yandina were a crowd favourite and the winner of The Best Stall on the day for their gorgeous flowers and beautiful styling. Not only that, their lovely team gave away homemade marmalade made from fruit from their property! Talk about going the extra mile! The Rocks has long been adored by natives of the Sunshine Coast. Located at the base of a mountain and facing the beautiful Maroochy River, this well-loved spot oozes charm and personality. With a prestigious history as an award-winning restaurant, The Rocks Functions reopened its doors in 2015 and will be continuing it’s transformation over the coming months to include amazing Sunday seafood lunches along with a stunning space designed especially for weddings. 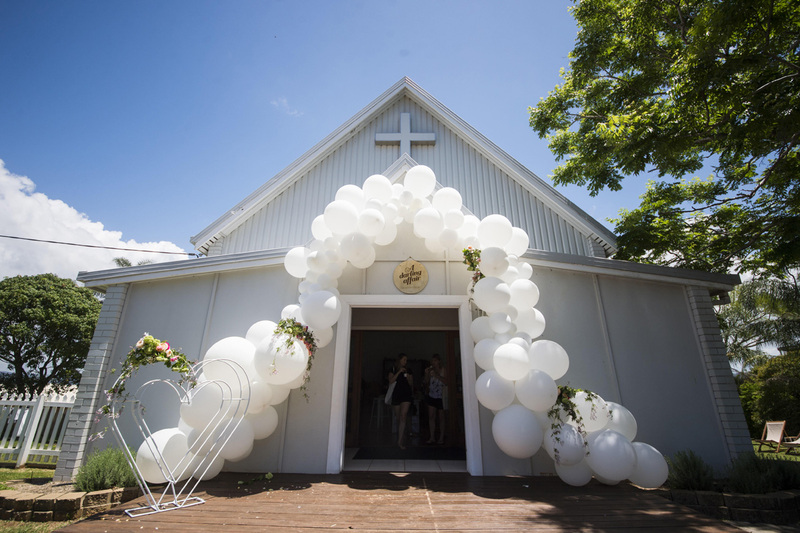 We just love The Wedding Chapel Woombye! This is the perfect venue for our fair and their team who went above and beyond behind the scenes to ensure the fair went off without a hitch – we wouldn’t hesitate in recommending them for your wedding! 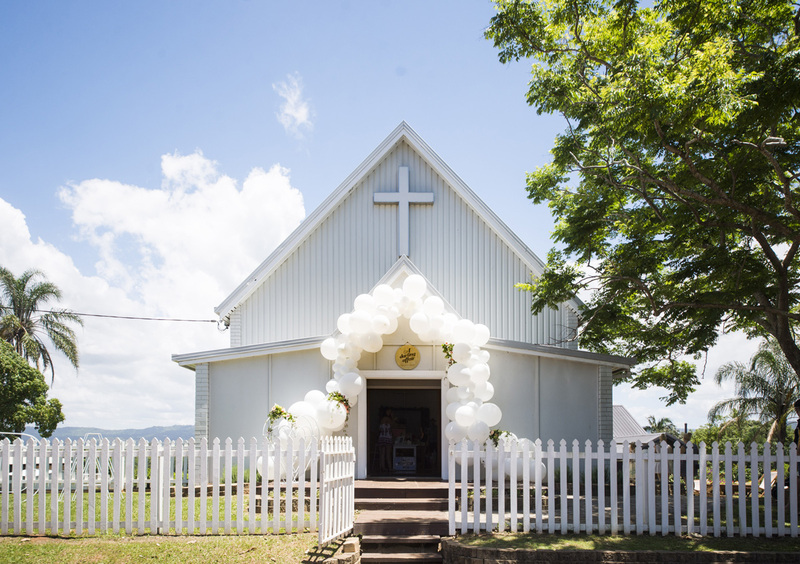 With a unique vintage flavour, The Wedding Chapel Woombye has the beautiful Blackall Range as it’s backdrop and is located centrally in the Sunshine Coast region. The Chapel’s classic character and charm provide the perfect ceremony location as-is or can be turned into a DIY dream. A cornerstone of the hinterland village of Eumundi, The Imperial Hotel has been welcoming locals and tourists since its opening in 1911. 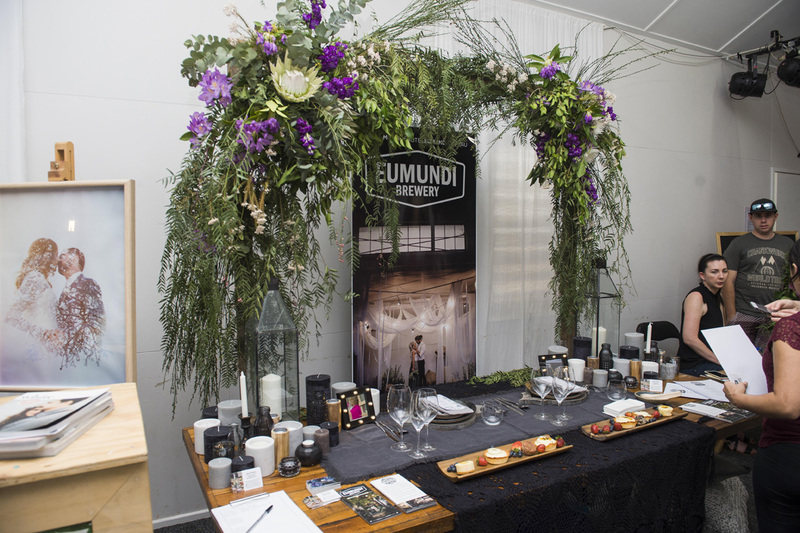 After extensive renovations, The Eumundi Brewery was officially opened in August 2017 and has become a magical mix of historic hotel, bohemian art, and colourful creative groove. The hotel now has five diverse entertaining areas offering settings for every occasion. This amazing company boasts relaxed luxury accommodation and breathtaking scenery fit for the wedding of your dreams. The perfect backdrop for a relaxed celebration, both Spicers Tamarind Retreat and Spicers Clovelly Estate are popular destinations for couples hunting for an intimate five-star venue. 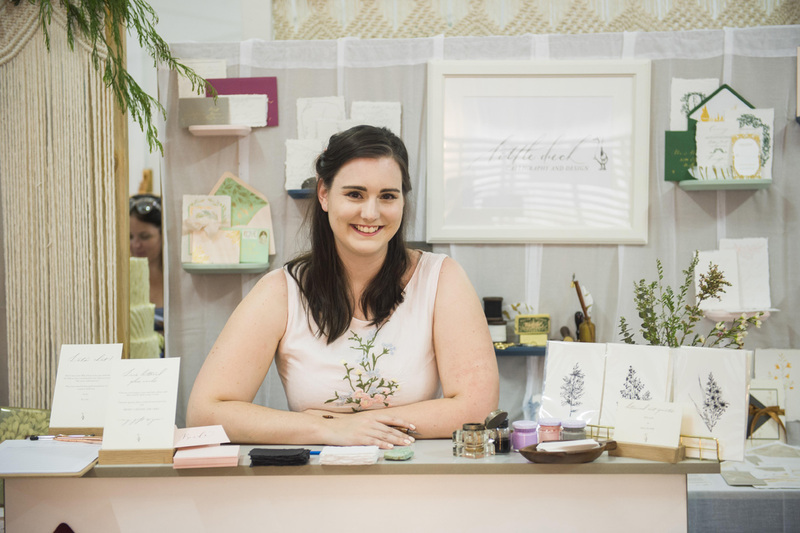 The Sunshine Coast Wedding Fair sparkled with old world charm thanks to our darling stationery vendors. 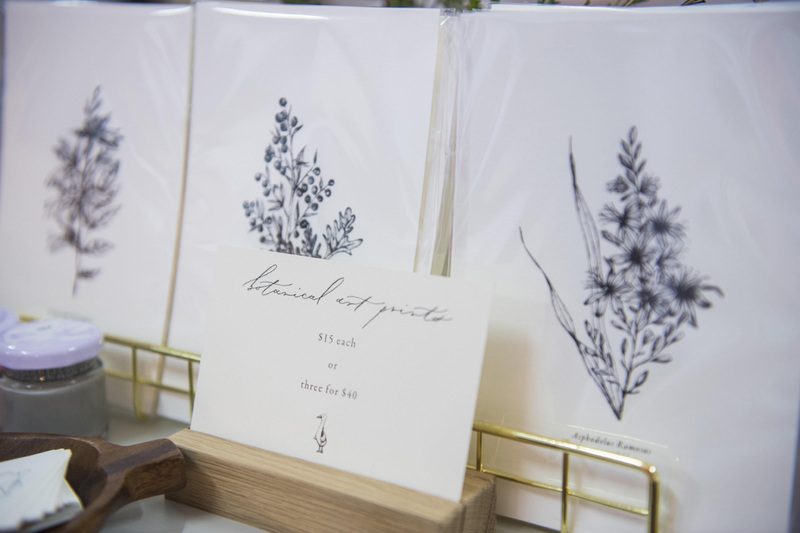 These talented ladies got us all inspired with their dreamy calligraphy skills and gorgeous paper goods. Artist Danielle is the talented creator of Lindqvist Ink. 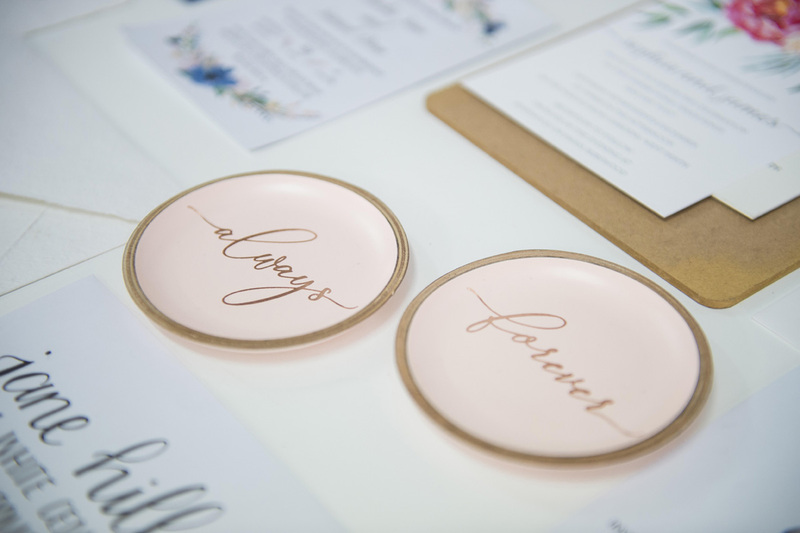 Specialising in fine art stationery suites for weddings and events, her range includes invitations, save the dates and RSVP’s, plus on-the-day items such as place cards, menus and seating charts. Danielle’s skills have seen her published multiple times in publications across the globe, it was a treat to see her work for ourselves! 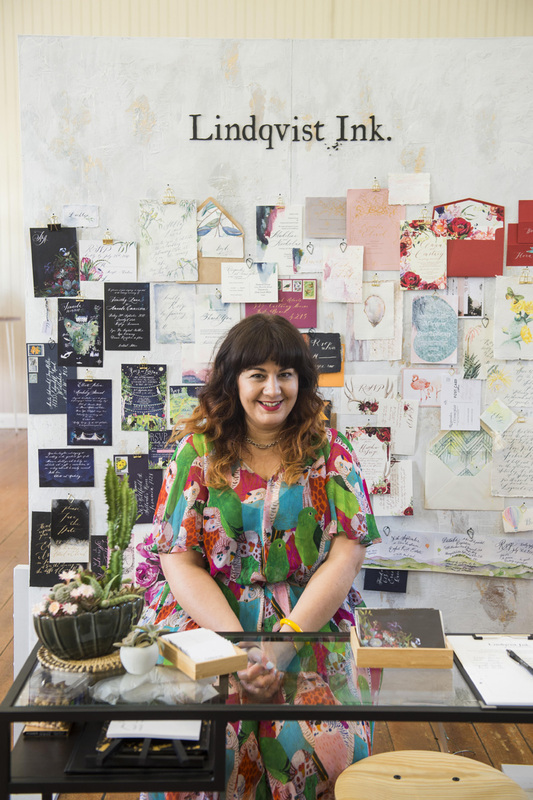 The Frankie Collective partner with brides, mums-to-be or event planners to create luxe paper stationery. 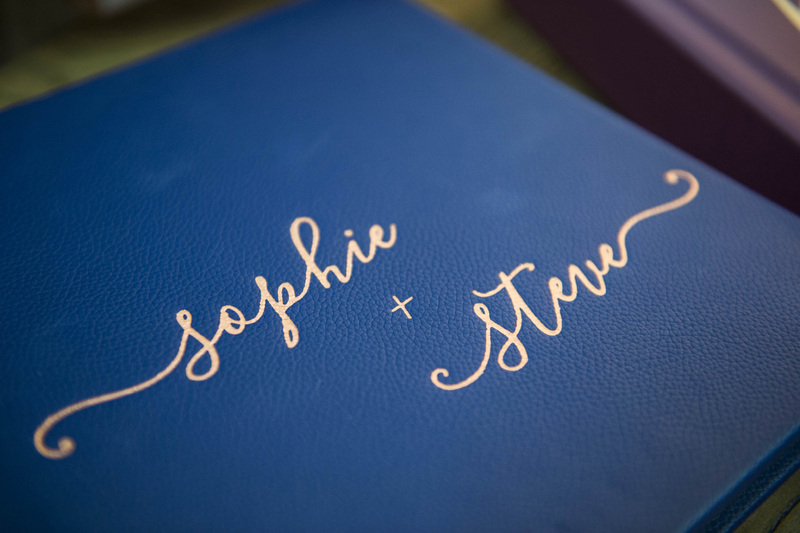 From the first mention of ‘save-the-date’, all the way through to individually hand-lettered place cards and thank-you’s, stationery has the ability to leave a lasting impression. 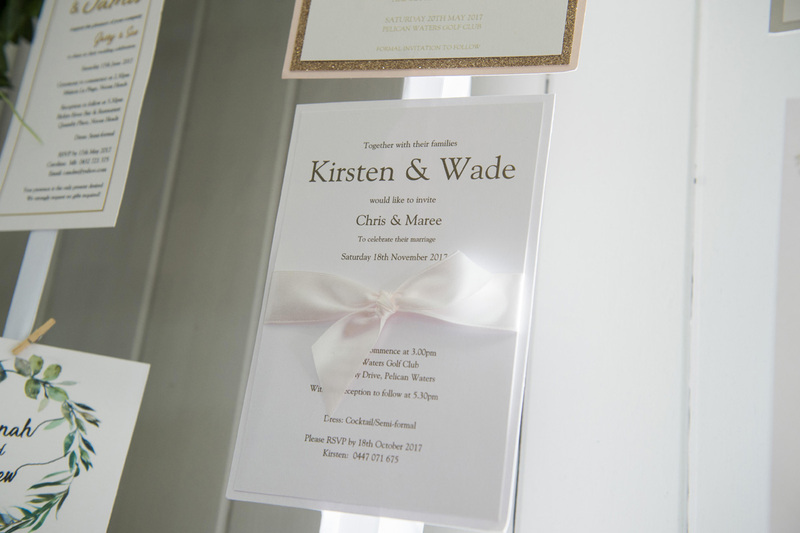 On top of paper stationery, designer Jane Hill also offers custom or hire options of signage for your wedding or event, as well as stunning wall prints and beautiful little bits and pieces to make your house a home. Designer Tess is the brains behind the oh-so-gorgeous Little Duck Calligraphy. Tess is highly sought after for creative collaboration both in Australia and internationally and has been featured in magazines worldwide. 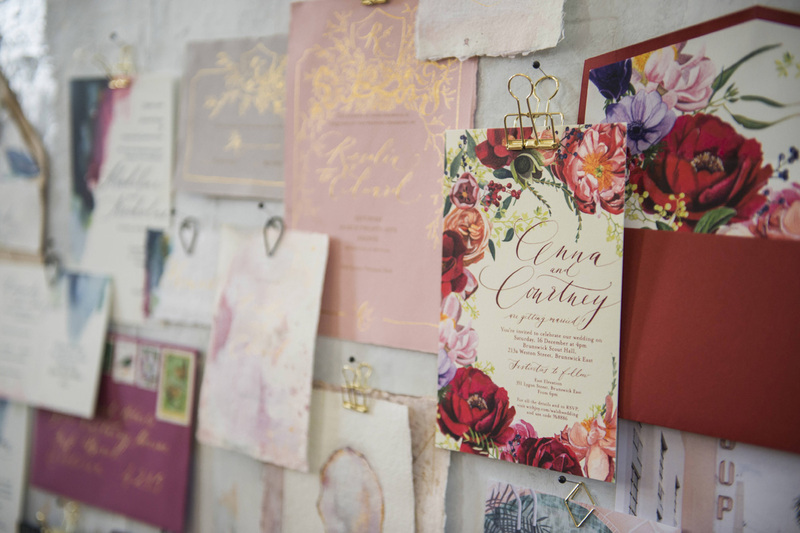 Tess works together in a partnership with each and every client she has to create the wedding stationery of their dreams, from save the dates to thank you notes and everything in between. One of our favourite things here at A Darling Affair is matching couples with their very own personal wedding dream team. 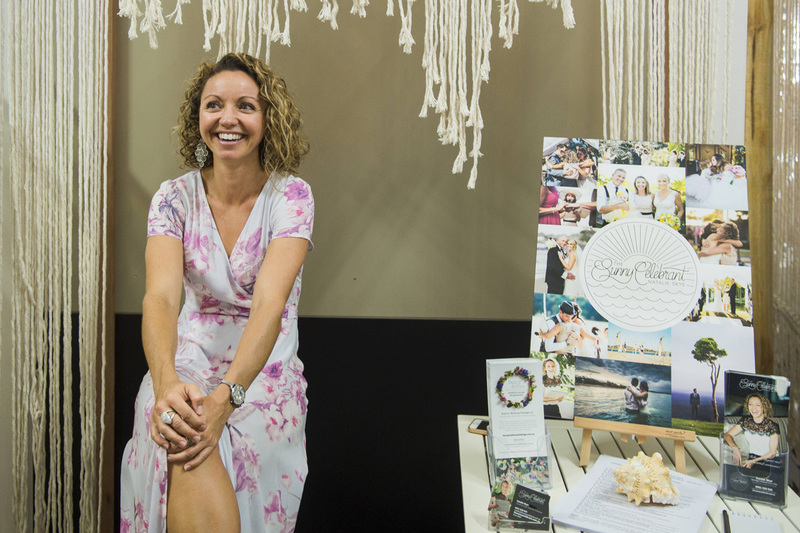 Finding your perfect celebrant is such a great feeling, and we had three of the Sunshine Coast’s best sharing their work and talents with us at the Sunshine Coast Wedding Fair. 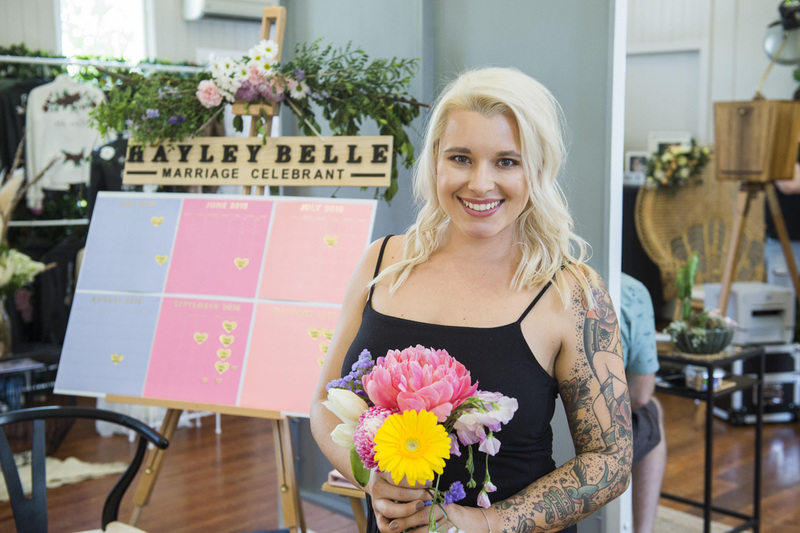 Hayley Belle is not your average marriage celebrant. At 30 years old, this rad mama has a full sleeve tattoo and a wild sense of humour! 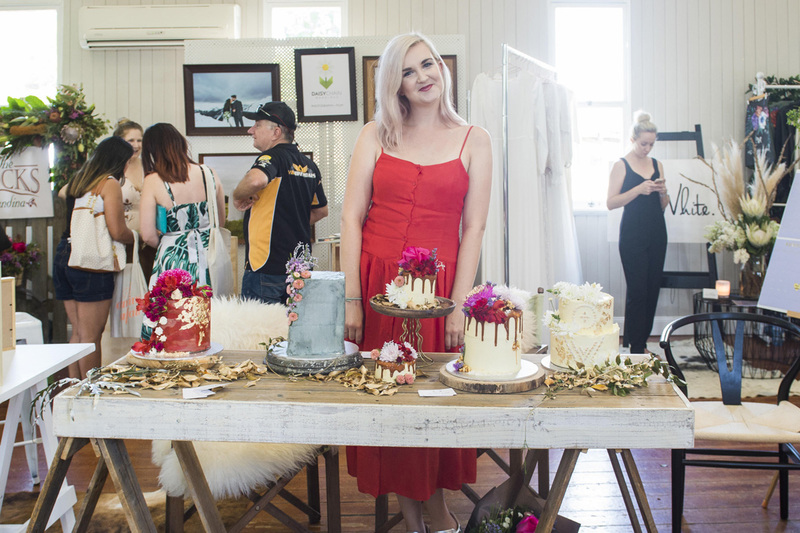 Hayley brings her signature spark and personal touch to every wedding, so whether you’re planning a backyard affair with your pets as your bridal party, in a sailor outfit on a yacht, or on a stage at a heavy metal gig…you name it, she’s game! 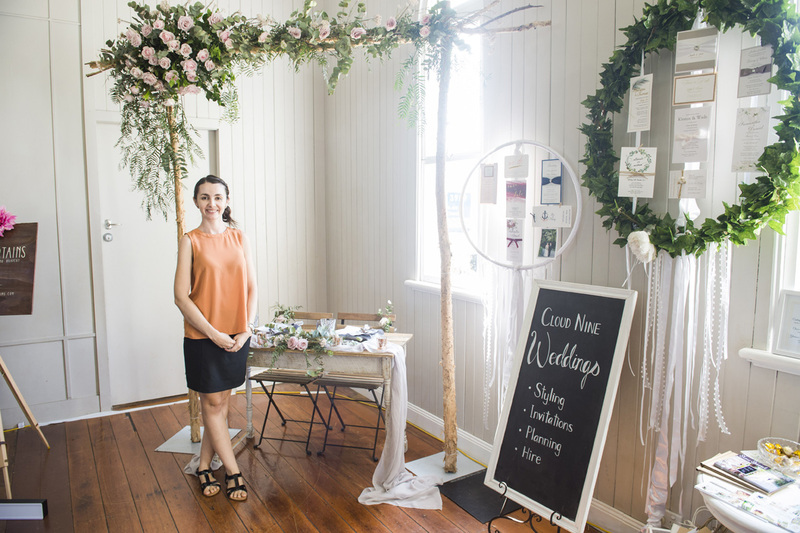 The lovely Natalie Skye is a hip and happy celebrant that presents a sincere, genuine and authentic wedding ceremony. 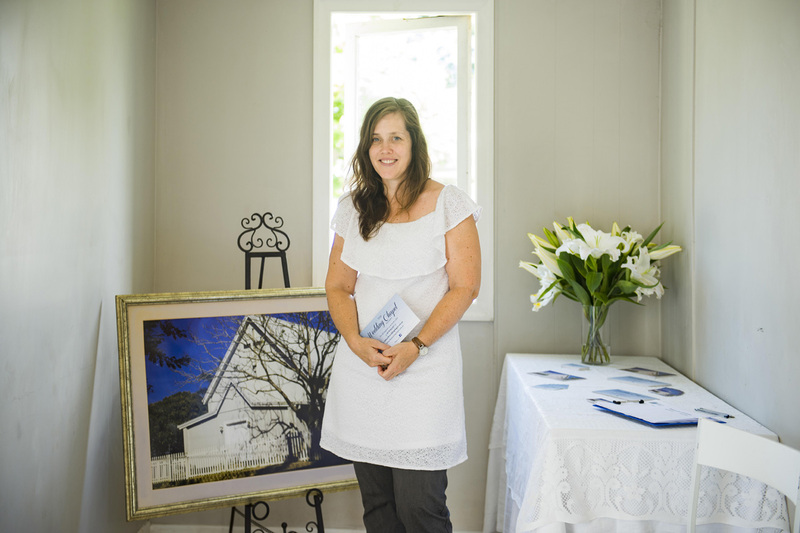 Known as the Sunny Celebrant, her lighthearted and relaxed service is full of enthusiasm, passion and fun. 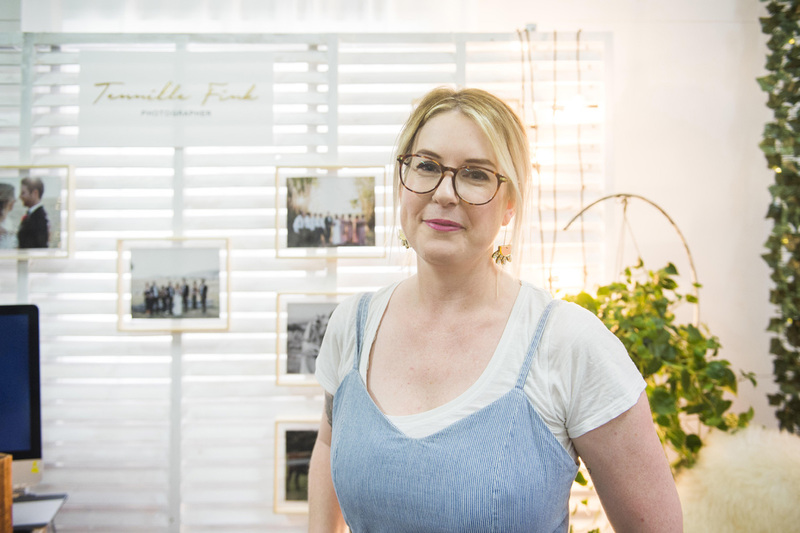 Not only is Natalie a seasoned celebrant, she also runs another business Fancy and Free Wedding, which create elopement packages uniquely designed around couples, so it’s pretty obvious to see that she lives and breathes all things wedding related! 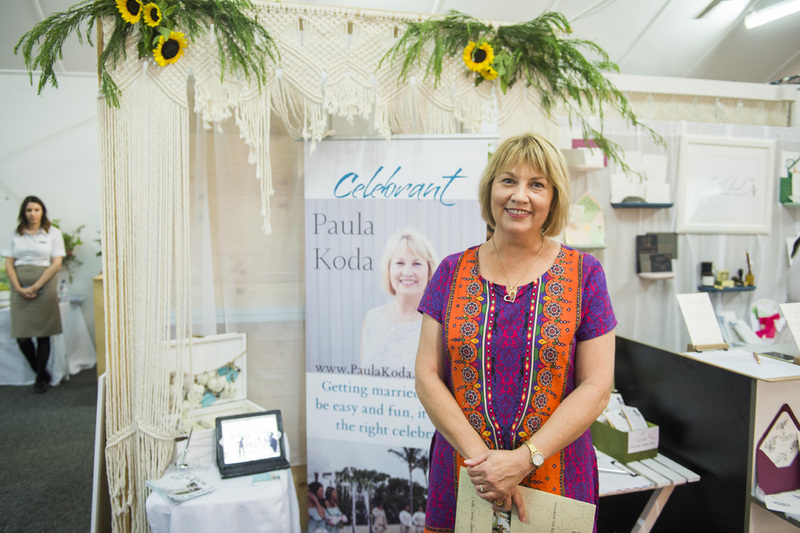 Paula Koda’s cheerful outlook and passion for her job are what makes her such a fantastic celebrant. She has a wholehearted approach to supporting couples and families in celebrating love, whether in a marriage, welcoming a new little family member or celebrating a life well lived! She is a skilled navigator when it comes to the organising process and helps to reassure by making ceremonies warm, relaxed and personal by offering couples oodles of inspirational ideas for their special day. Looking for something a little special to entertain your guests? 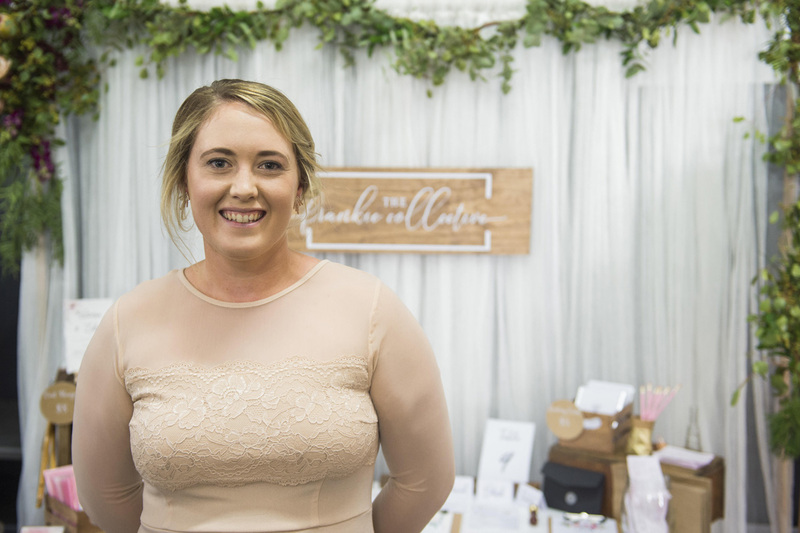 The Sunshine Coast Wedding Fair had some great ideas for fun and memorable ways to get your friends and family smiling and in the party mood. 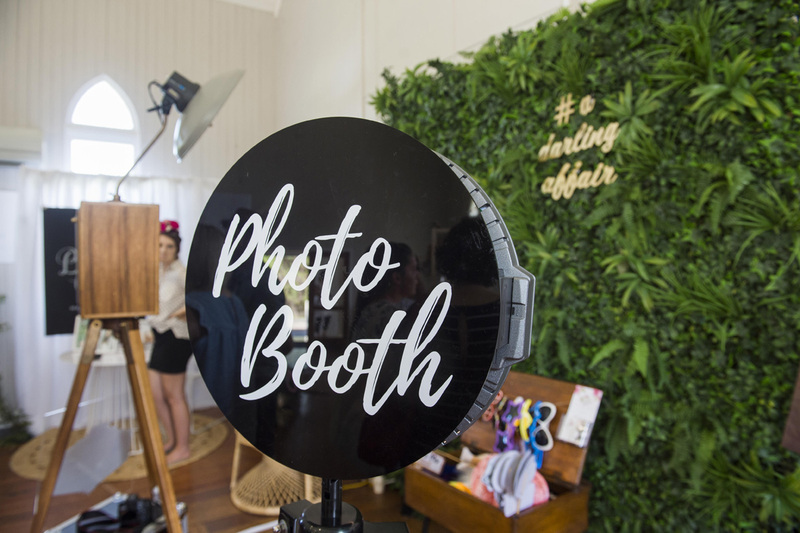 We fell in love with the oh-so-fun Sunshine Coast Vintage Photo Booths! Their energetic set up is the perfect icebreaker for any event. They supply laugh out loud props and affordable tailored packages to suit whatever needs you have. 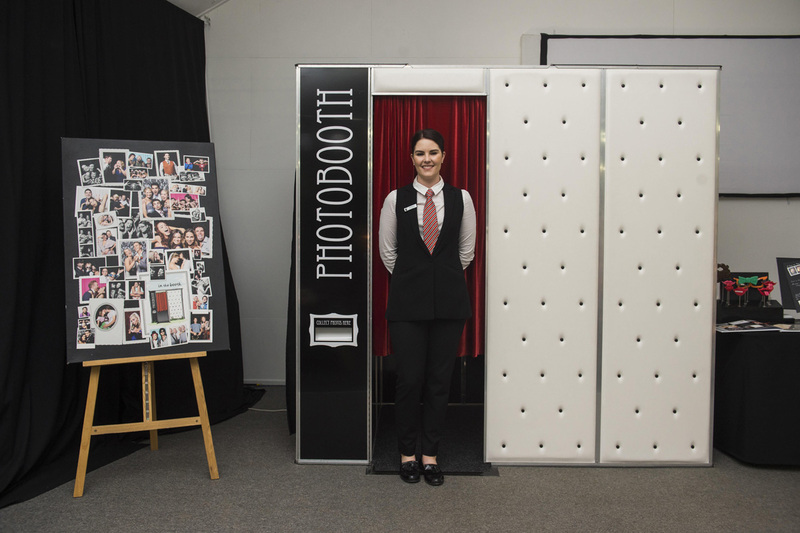 Their team have created an enjoyable, no stress option to create memories and keep a grin on your guest’s faces. 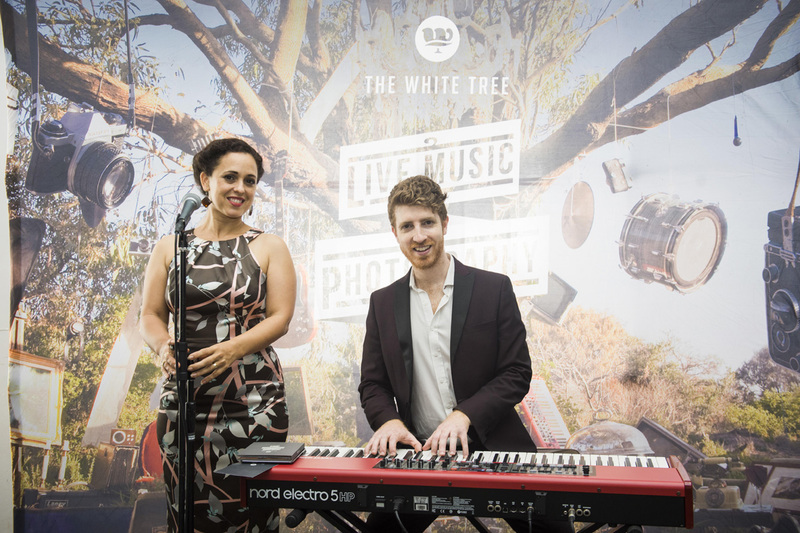 Tired of the cheesy, old-school wedding vibe, The White Tree decided to put their collective minds and talents together to create a one-of-a-kind wedding experience where couples can get film, photography and live music all under one roof! 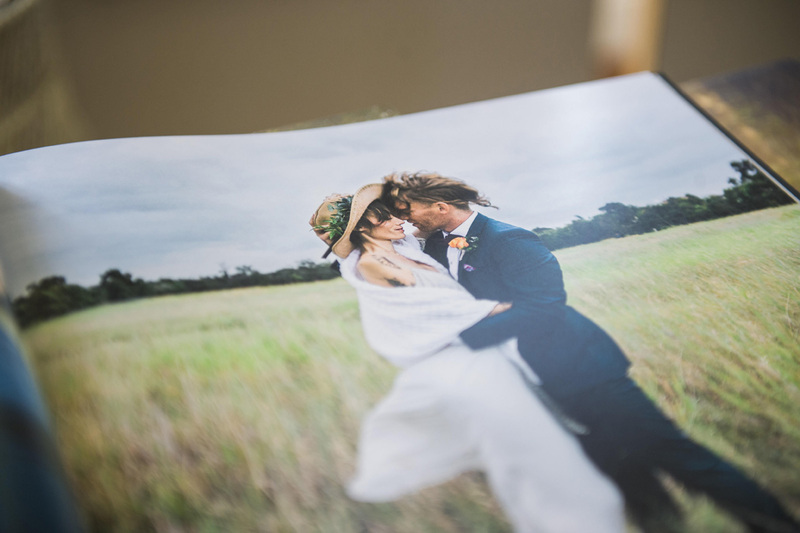 Their energetic live shows, cool cinematic films, and naturalistic photography have made them a fan favourite and their tight-knit team are one of the country’s top creative talents for modern weddings. We were so happy to have In The Booth join us as part of our fair lineup! This award-winning business provides retro-inspired enclosed booths, perfect for creating a little privacy for your more reserved guests to get a little silly, or even a space at your event for you and your sweetheart to steal a quick moment away. With convenient locations across Australia, every booth in their network is identical, keeping it easy with no confusing options, colours or styles. Just striking, classically styled booths that command attention in any venue. 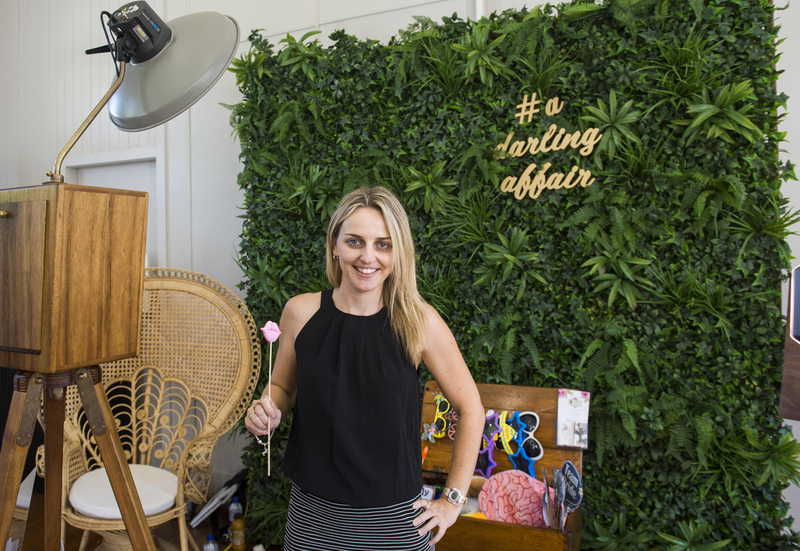 Every bride needs a glam team and lucky for us, we had two of the coasts favourite makeup artists join us at the Sunshine Coast Wedding Fair! 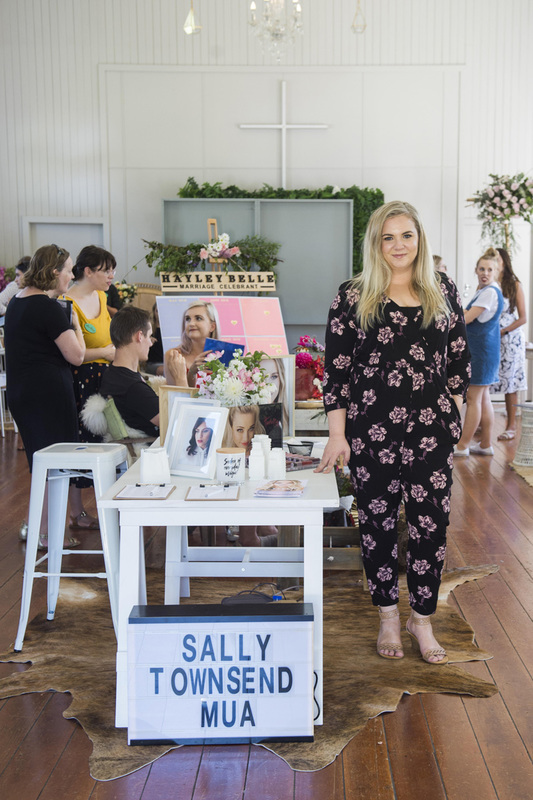 Did you get to the chance to meet the fabulous Sally Townsend? Sally is a girlboss on a mission. Wanting to create a life and business that was on her own terms, she threw caution to the wind and enrolled in a six-month-long intensive makeup course. 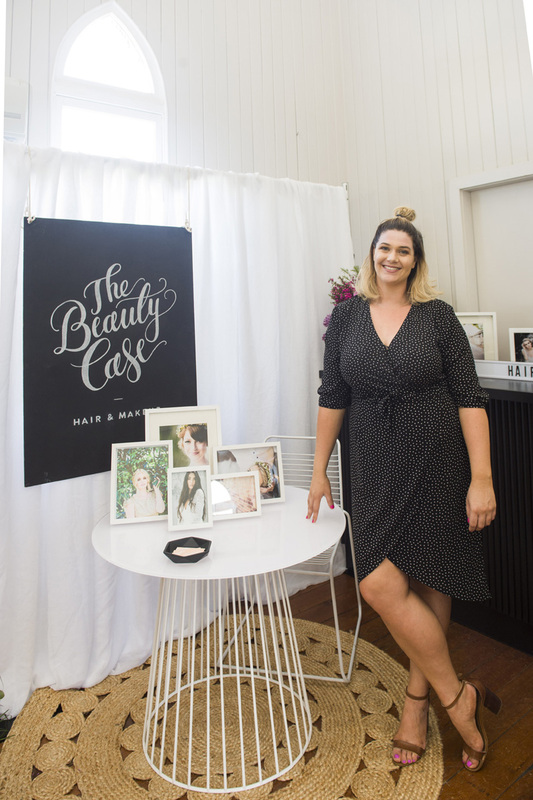 Now, Sally and her team are some of the Sunshine Coast’s most sought-after makeup artists and are known for their signature natural, head-turning looks. 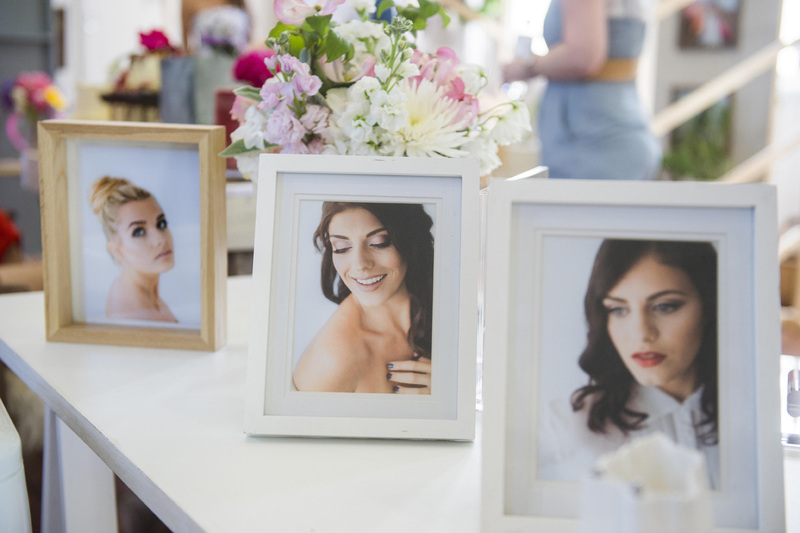 Classic and on-trend, Sally’s versatile makeup skills are exactly what every bride needs in her corner. Khesanh from The Beauty Case has been a long time friend and supporter of A Darling Affair and we couldn’t thank her more! 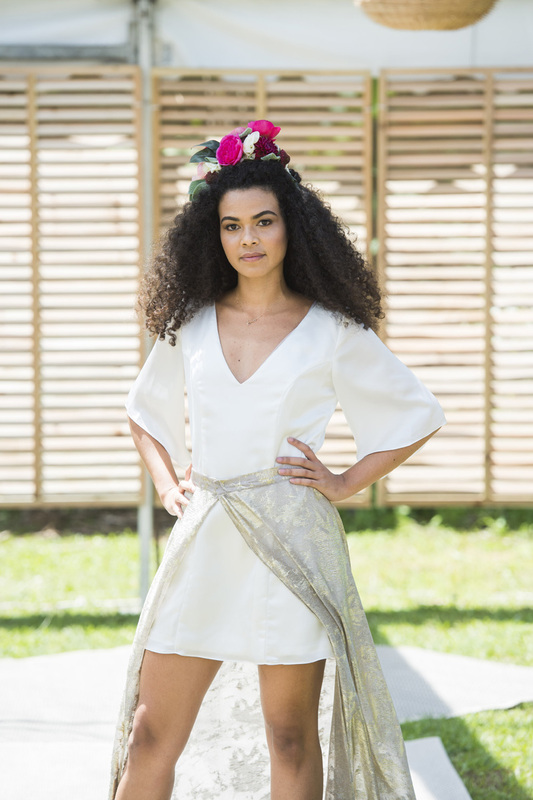 This talented makeup artist went above and beyond behind the scenes, from running photo shoots, to planning fashion parades, and had a huge hand in helping with the organising of the event – all while doing a fantastic job creating gorgeous looks for all of our models. We’re so grateful for all of Khesanh’s help, especially since she’s such an in-demand lady! 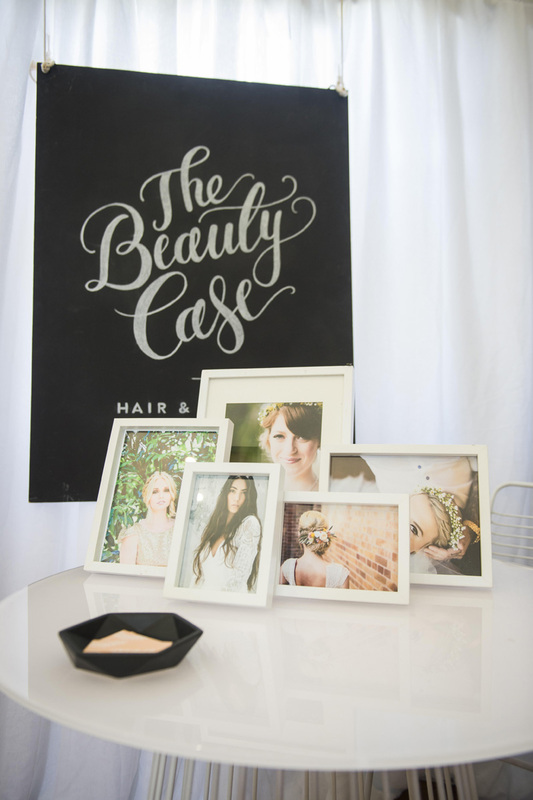 The Beauty Case team travel up and down the coast, from the beaches of Byron Bay to the Sunshine Coast Hinterlands to create show-stopping, gasp-out-loud looks and these lovely ladies have the perfect blend of experience and training to create your perfect look and make you feel like you’re glowing from the inside out. Every girl knows that finding the perfect wedding outfit is KEY! 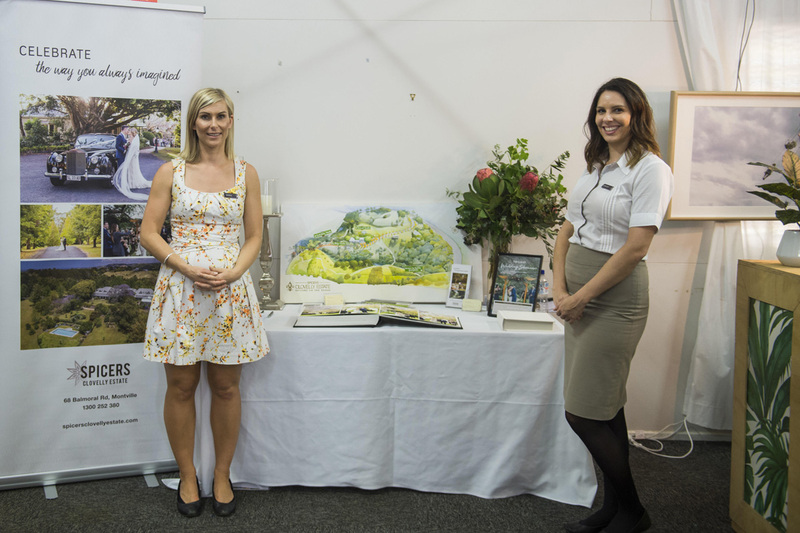 Lucky for us, we had some amazing talent at the Sunshine Coast Wedding Fair. 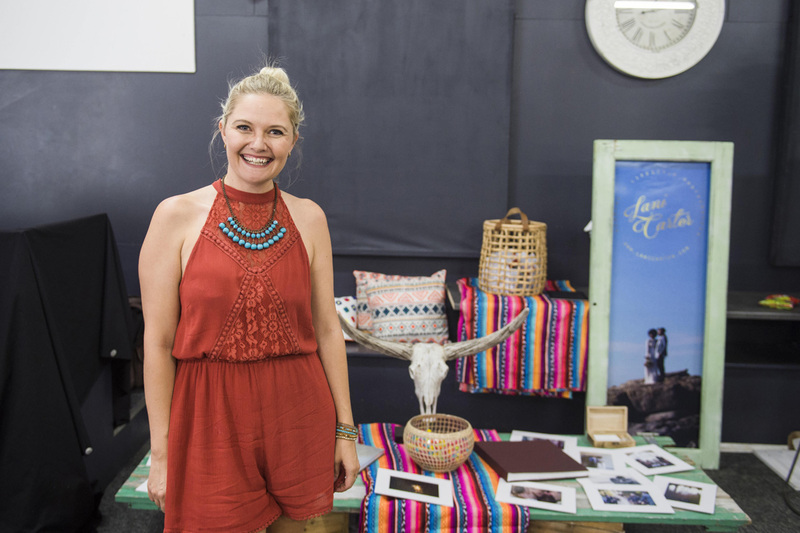 We love supporting local labels and businesses and the designers that were apart of this year’s fair knocked our socks off with their stunning creations. Ivie White amazed us with their ‘stand out from the crowd’ designs. This fab label is known for their signature silk dresses that ooze understated elegance and effortless style. 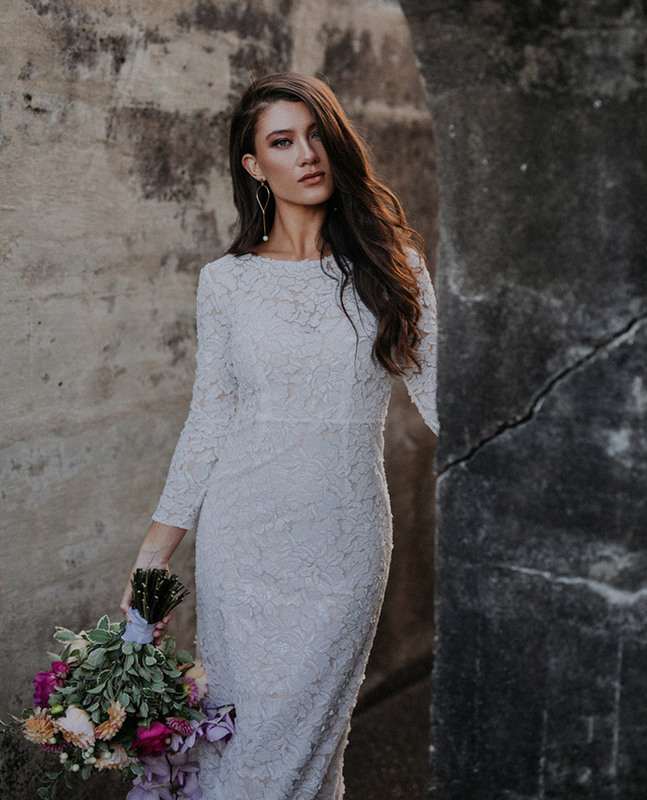 Each of their pieces are made right here on the Sunshine Coast using only the best fabrics and beautifully beaded laces, and their timeless designs are the perfect compliment to the stunning Queensland backdrop. 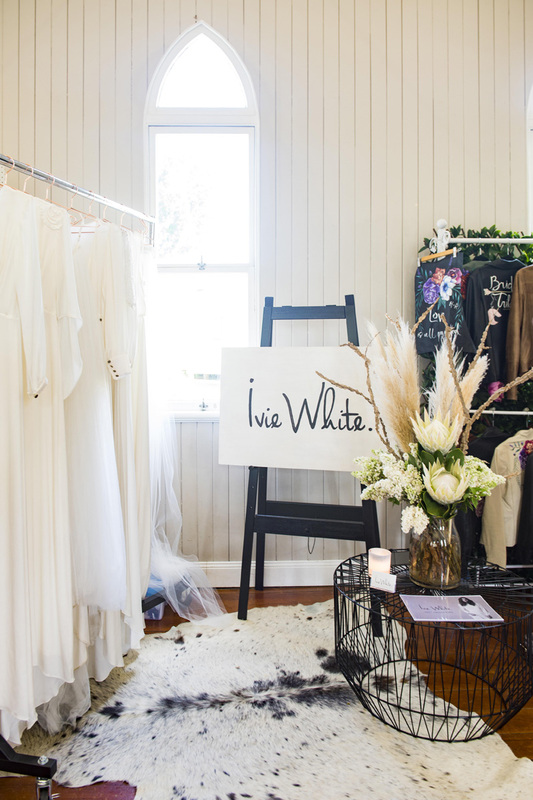 Ivie White’s designs are perfect for a modern bride looking for a one-of-a-kind dress. 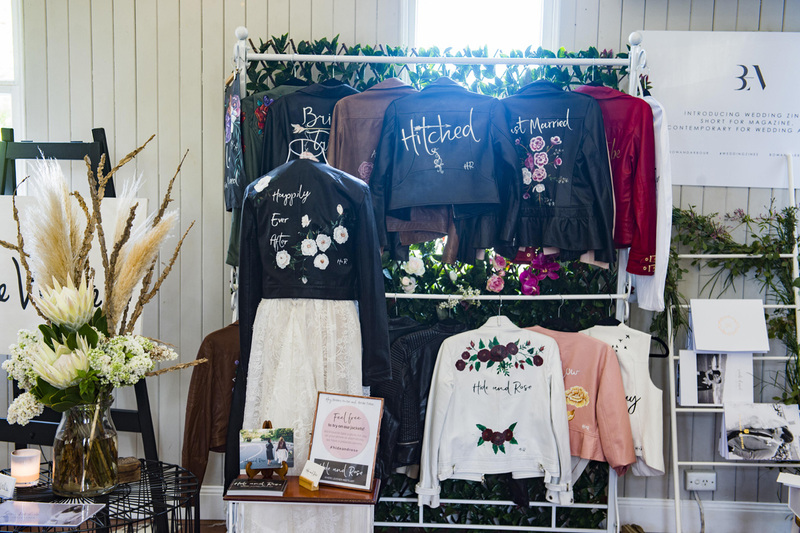 The girls from Hide and Rose seriously had us drooling over their gorgeous jackets! 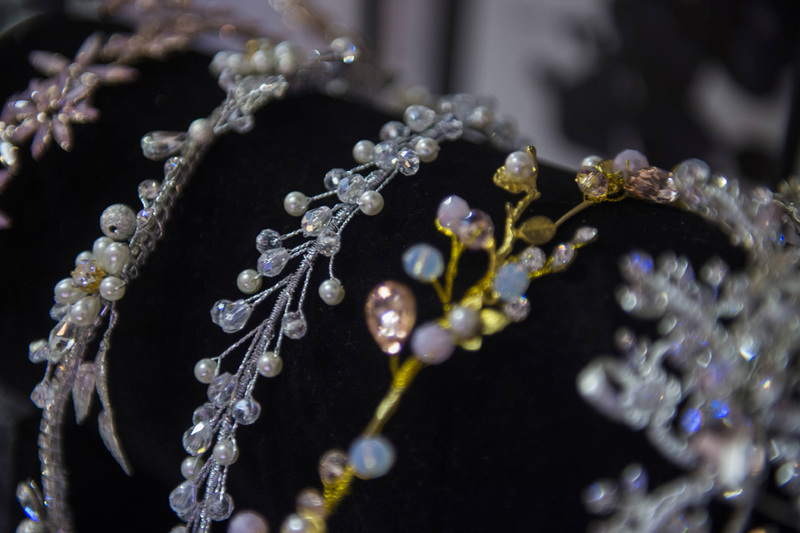 This label delivers a splash of colour, beauty and artistic style to create a treasured piece of wearable art for your wedding day and the years to come. 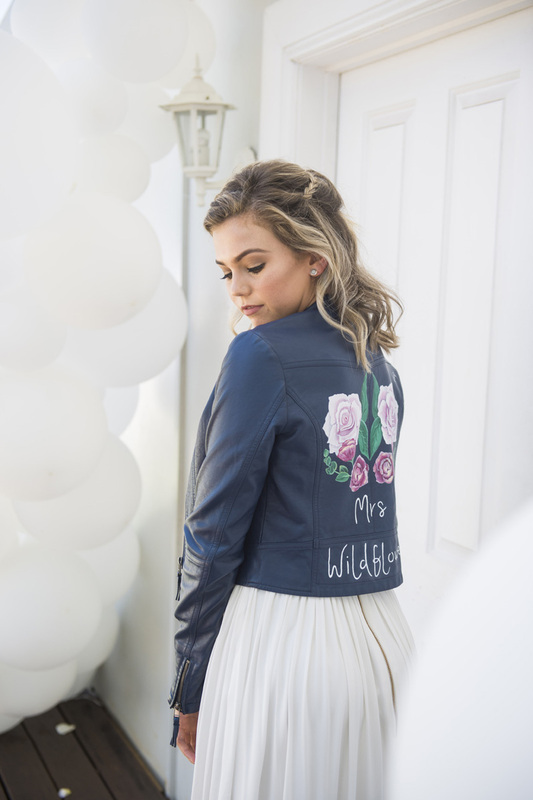 Their team of skilled artist’s paint each leather or faux leather jacket by hand with a Hide and Rose design specially customised to incorporate the bride’s personalised sentiment, whether it’s a wedding date, new last name or favourite quote…the possibilities are endless. This is the only business of it’s kind in Australia and this awesome label donates a portion of every purchase to charity. Amazing! Outfit is the key word here, as Ginger and Gold are known for more than just their dresses. 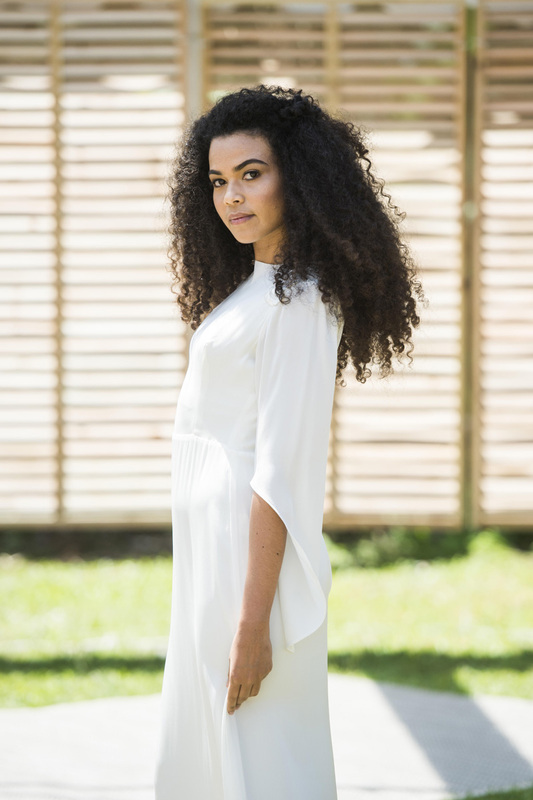 The girls behind this Brisbane label create killer jumpsuits, dresses long and short, and mix and match separates in non-traditional fabrics, so you can choose what suits you best. Not only that, the ladies even offer alterations to some of their designs, so you can really personalise your outfit until it’s the perfect ‘one’. From being ceremony chic to reception ready, Ginger and Gold have you covered. 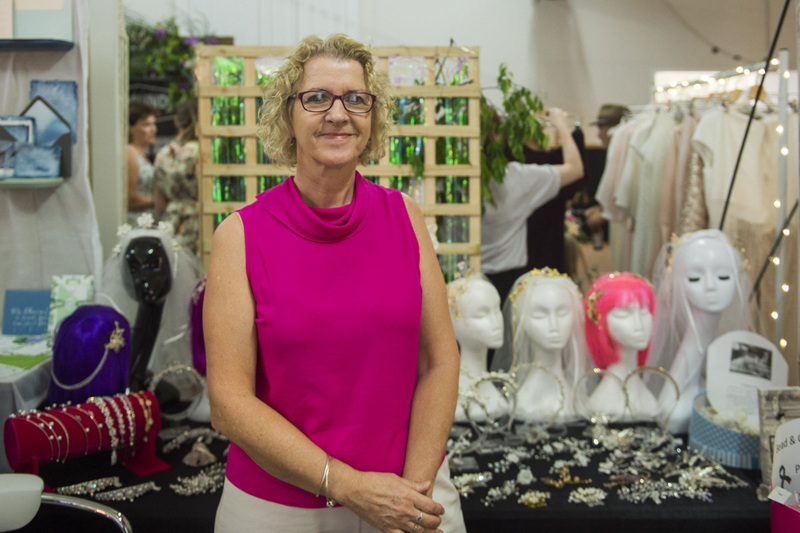 LilyM Hats is the creation of experienced milliners, Lynda and Brenda, who together produce unique hats and headpieces to match your dream outfit. Their team uses only the best quality products to design and create each masterpiece. 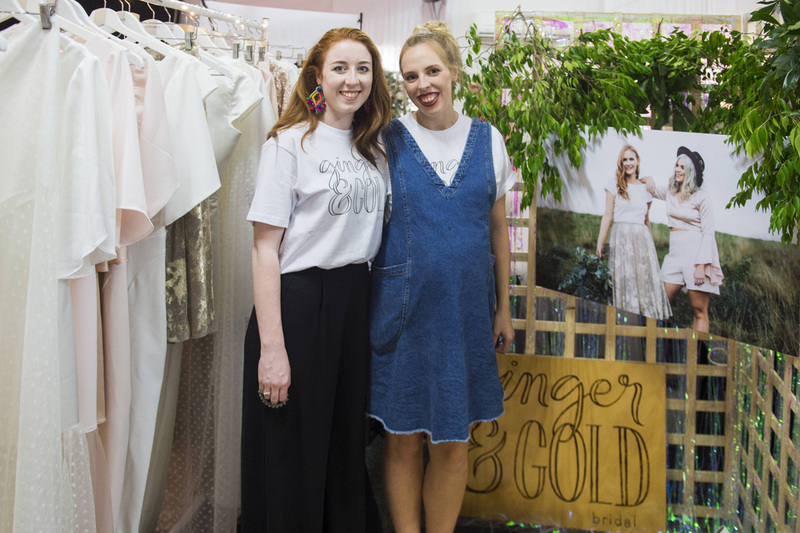 This dynamic duo has designed their own ‘Scintilla’ range of silk abaca, the perfect material for creating standout headwear, and their new bridal range is constructed with the finest silks, pearls, crystals, beads and embellishments. 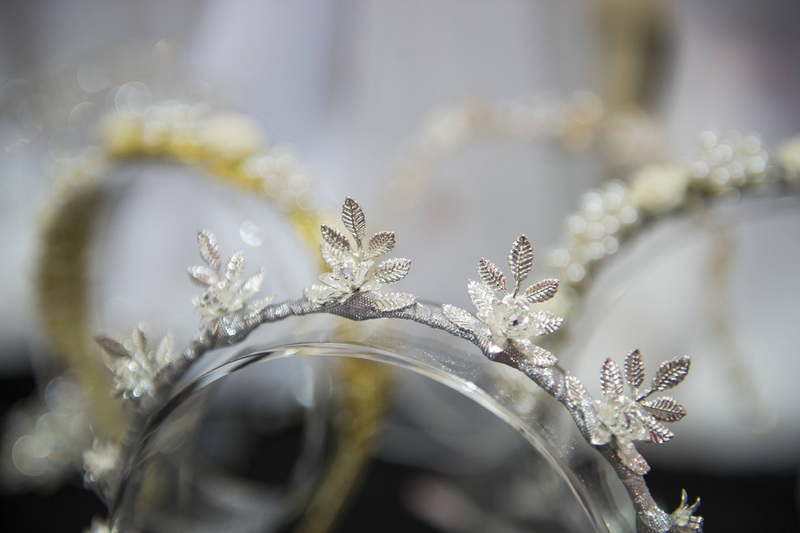 LilyM Hats have also taken the time and care to have the wire dipped in gold and silver, so the luster of each piece stands out from anything else you’ve seen, to create masterpieces that you will keep for generations. 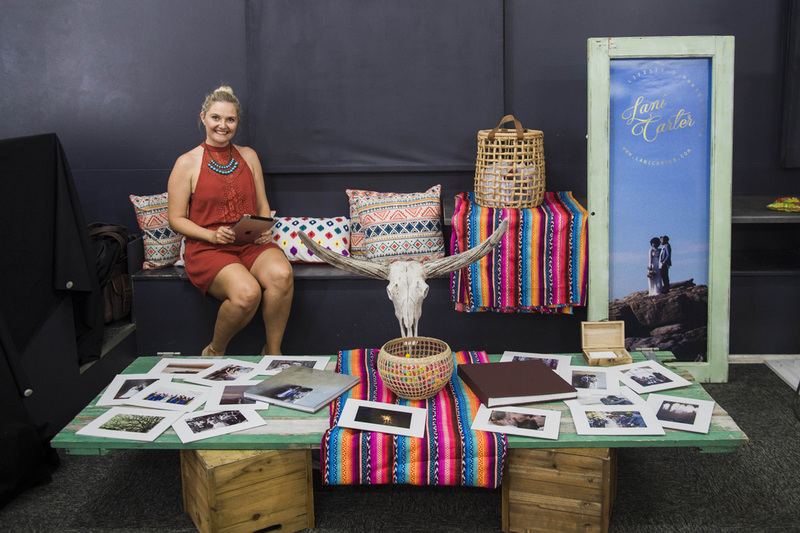 We seriously get to work with the best photographers and designers around and this years Sunshine Coast lineup was packed full of amazing creative talent. 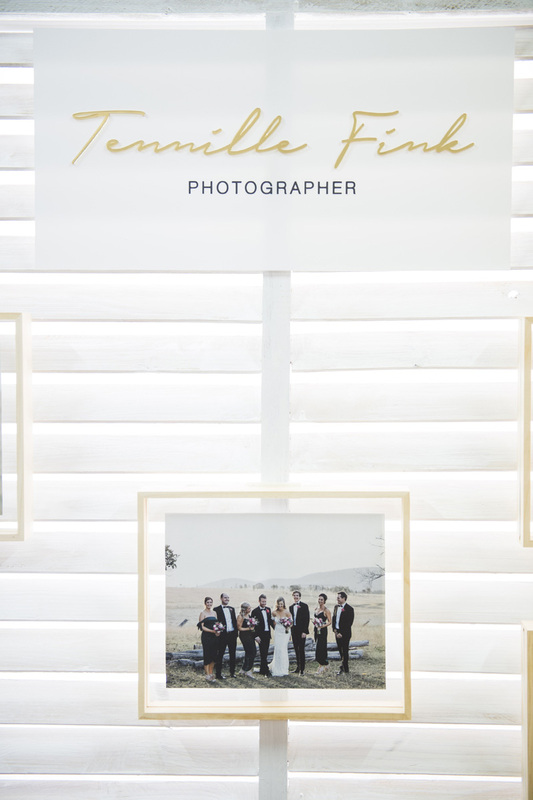 The darling Tennille Fink is a wholehearted wedding photographer with a documentary flair and editorial edge, making it on-trend and timeless. With an eagle=eye for all the teeny tiny details and moments that people may forget about or not even realise happened, her fun and easy attitude brings out the best in people and helps her to take gorgeous, in the moment images that her clients are crazy about. Juddric Photography has been a long time supporter of A Darling Affair and we always love having him as a part of our lineup! 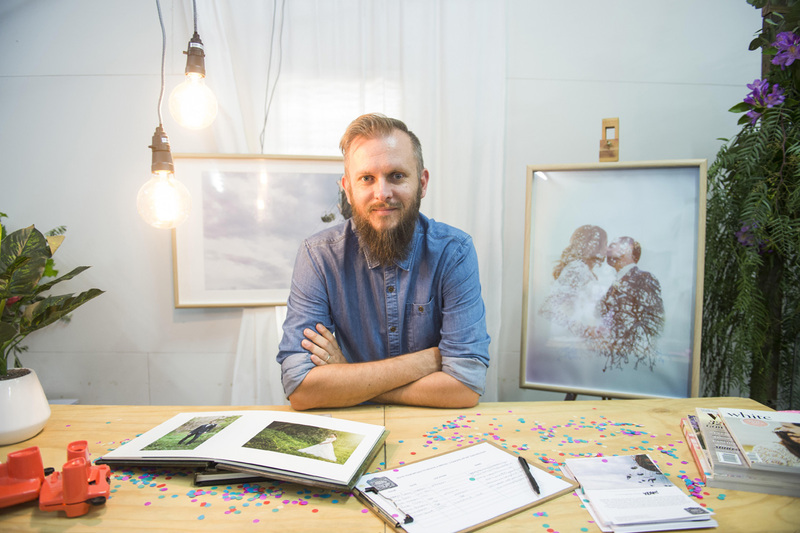 Judd is a self-described non traditional wedding photographer, specialising in full day wedding coverage. He’s all about letting the day unfold organically and capturing every crazy, fun, heartfelt moment that the celebration brings. Judd’s genuine style of taking images and his easy going personality help him to hide in plain sight, ensuring relaxed and natural photos. 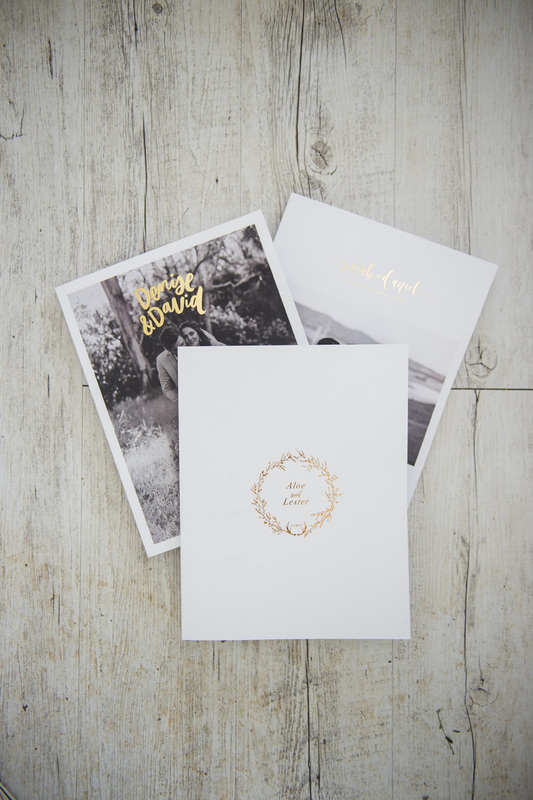 Bow and Arbour wowed us with their simple, well designed, modern ‘Wedding Zines’ – short for magazine, contemporary for wedding albums. Beautifully on-trend, these little beauties were a joy to see in person. 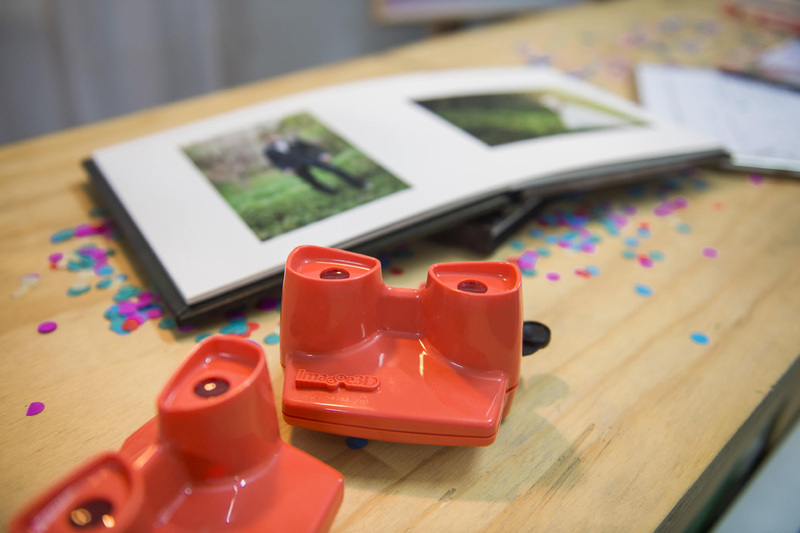 Their team have created a meaningful and relaxed interpretation of wedding albums as we know it. 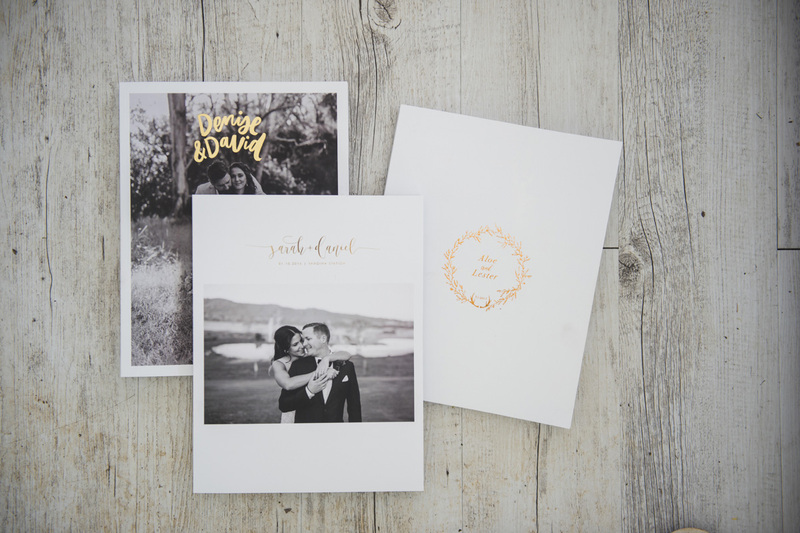 They thoughtfully design every single one of their wedding zines to be a complimentary companion to the authenticity of your big day and make the perfect keepsake. 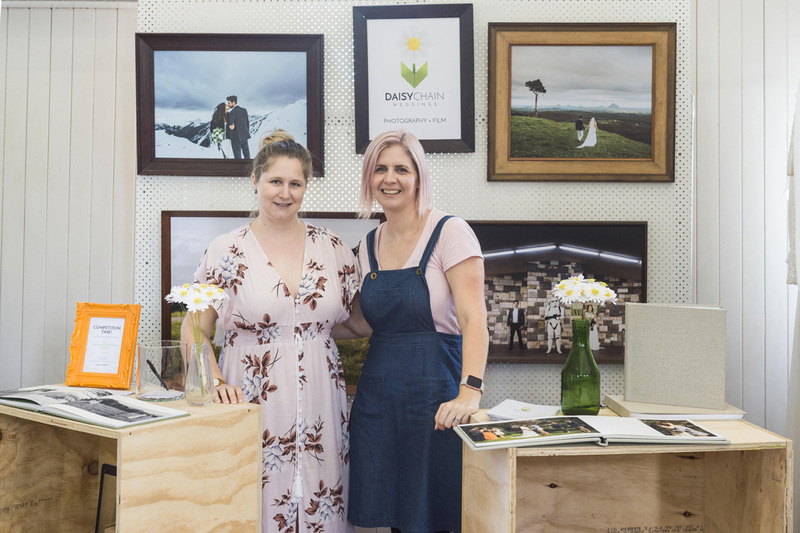 A big thank you to Daisy Chain Weddings who did an awesome job as our official photographer on the day of the fair! This incredible business covers all the bases, with the desire to offer the chance for everyone to have beautiful and affordable wedding photography and videography. Whether you’re having a big blowout wedding or a small and intimate elopement, Daisy Chain Weddings can tailor their services to help you create amazing wedding day memories. 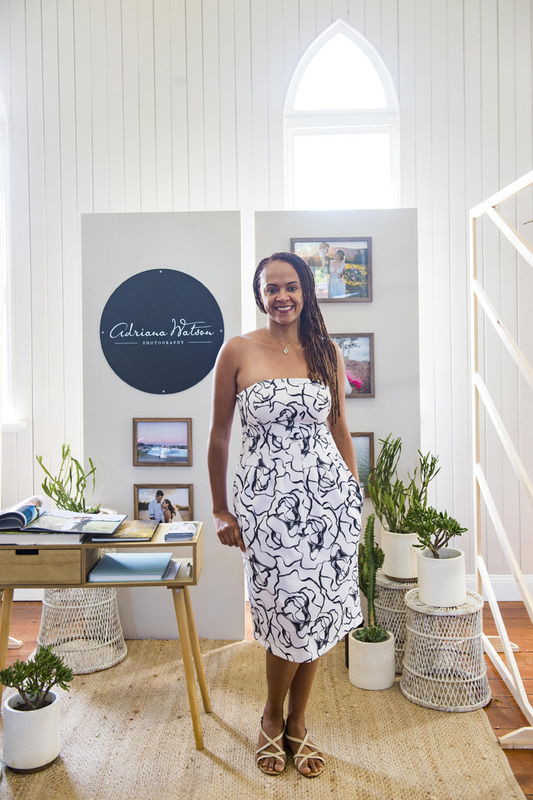 Did you get the chance to meet the lovely Adriana Watson? Adriana has been following her passion since 2012 and creating a connection with her clients is essential to her process. She takes the time to really get to know each person that she works with, to be able to truly capture their uniqueness. She is a photographer in it for the full journey. From documenting the excitement of getting engaged, to catching every little love-filled moment on your wedding day, she’s there to capture every important moment. Lani Carter has taken photos everywhere from birthing suits in the middle of the night and capturing the miracle of new life, to traveling the globe and doing wedding photography in far away lands! Her journalistic approach and relaxed personality are some of her major strengths and help her to keep her images totally authentic. Her style is creative, swirled together with a ton of romance, perfect for the couple that are looking for images that classic but not too traditional and with Lani behind the camera, you’re guaranteed to receive beautiful, artistic photos that won’t date. 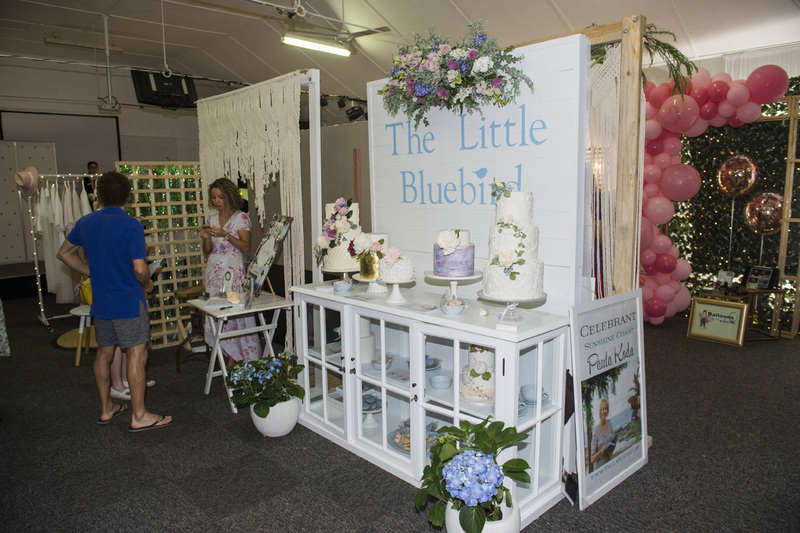 The Sunshine Coast Wedding Fair has come and gone for another year! We had such an awesome line up of vendors, it’s hard to put our excitement and love for them all into words…but we’ll try! 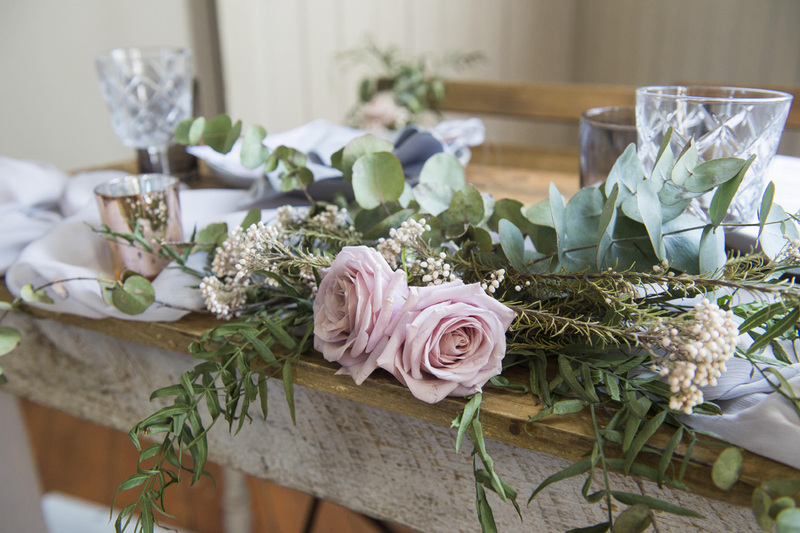 First off we have some big love to share for all of the talented florists and stylists. These guys brought their A game! 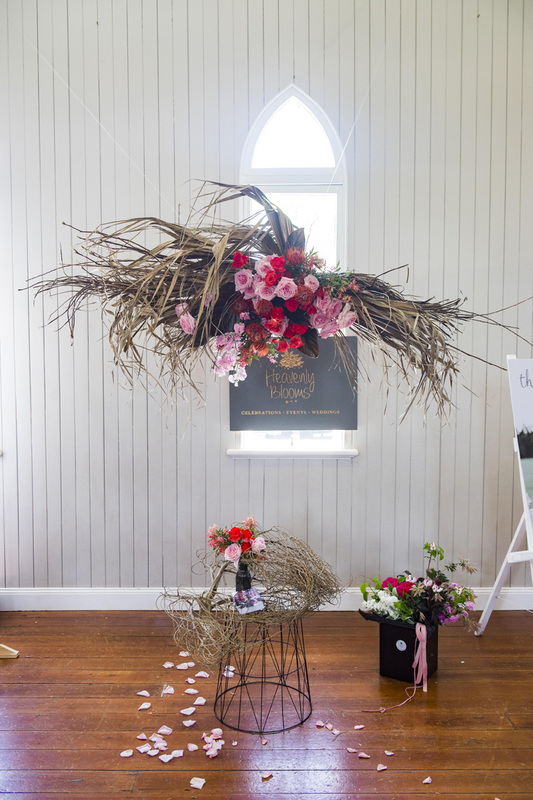 In an industry where trends are constantly changing, Nat from Heavenly Blooms is a florist that evolves with the times. Her unique style inspires her to take risks and think outside of the box, designing floral creations that are wild and organic. Nat is such a talent and Heavenly Blooms creations beautifully mimic nature while also reflecting the vision drawn from the world around us. 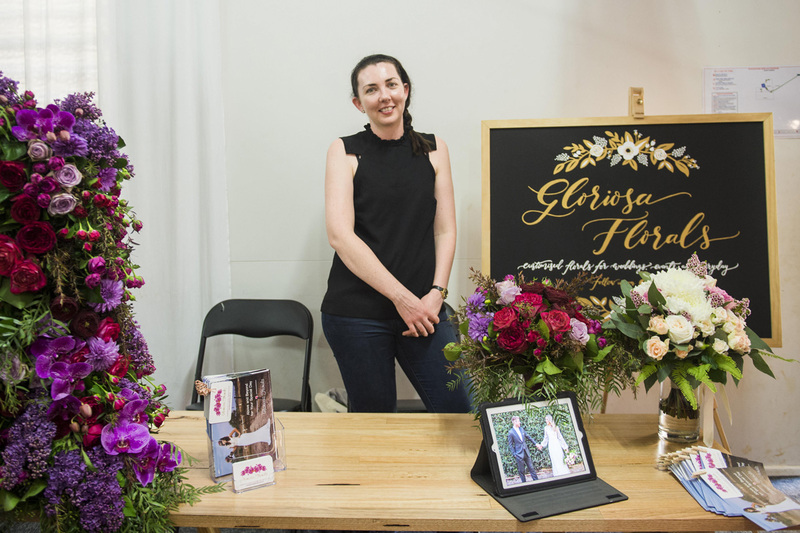 Gloriosa Florals brought some magic to the fair with an array of beautiful blooms and an absolutely fabulous floral arbour that wowed all of our guests. Florist, Sarah, is a genius at creating breathtaking arrangements and is known for her bouquets, reception florals and showstopping hanging chandeliers. 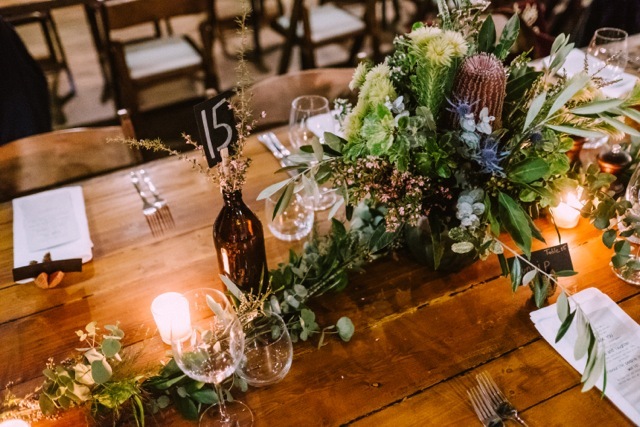 Based in Brisbane, Gloriosa is a full-service florist specialising in weddings and their team travel to the Sunshine Coast, Gold Coast, Toowomba, Tweed Coast, Byron Bay and many other amazing venues in between to bring some magic to your special day. 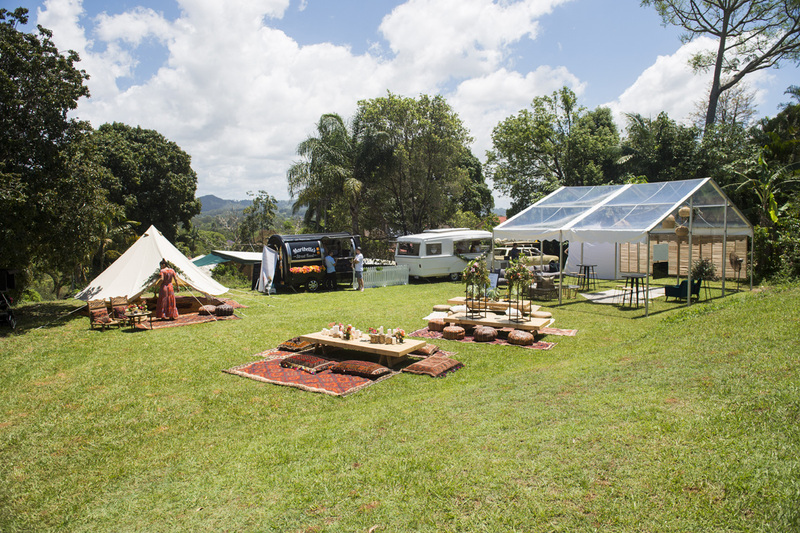 Cloud Nine Weddings is a multi-award winning business and an absolute must for anyone planning a wedding or celebration on the Sunshine Coast. This awesome business has everything you could ever need to create your dream wedding. Cloud Nine Weddings can organise decorations, help with finding the perfect ceremony location, assist with council permits and just about anything else you can think of to help make your celebration seamless. They also supplied A Darling Affair with some stunning signs on the day of the fair, we couldn’t have loved them more! Is there anything better than working with your BFF? 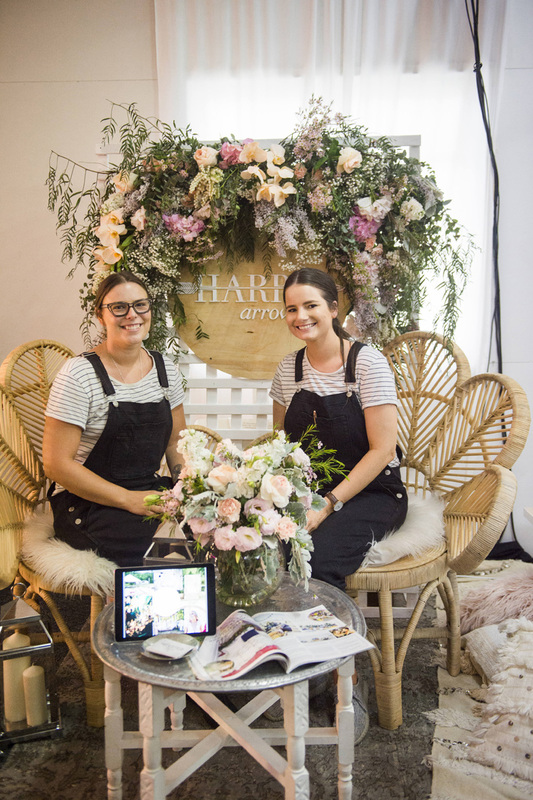 With backgrounds in Visual Merchandising and PR/Marketing, besties Demi and Emily decided to put their heads together and start Harper Arrow, a bespoke events business that could cater to any number of guests. 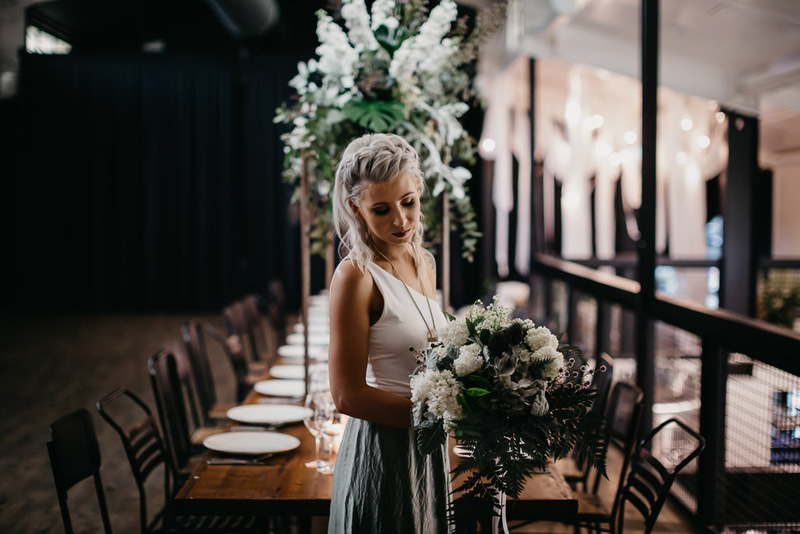 Based in Brisbane, Harper Arrow offer a range of styling packages that can be individually tailored to create your dream celebration. Whether you’re after a DIY hire or someone to handle all of the nitty-gritty details for you, Harper Arrow brings a little bit of magic to any event. 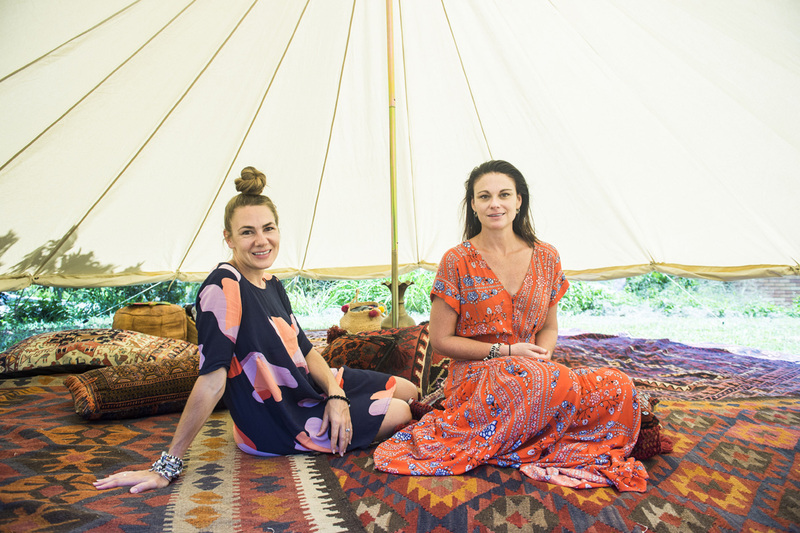 A big shoutout to Boho Sisters! These girls know how to turn heads! Their team created a chic and relaxed oasis on our Picnic Lawn, making it the perfect spot for couples to unwind in between cruising the fair. We still get googly eyes just thinking about this beautiful space. Boho Sisters are known for their unique styling talents. 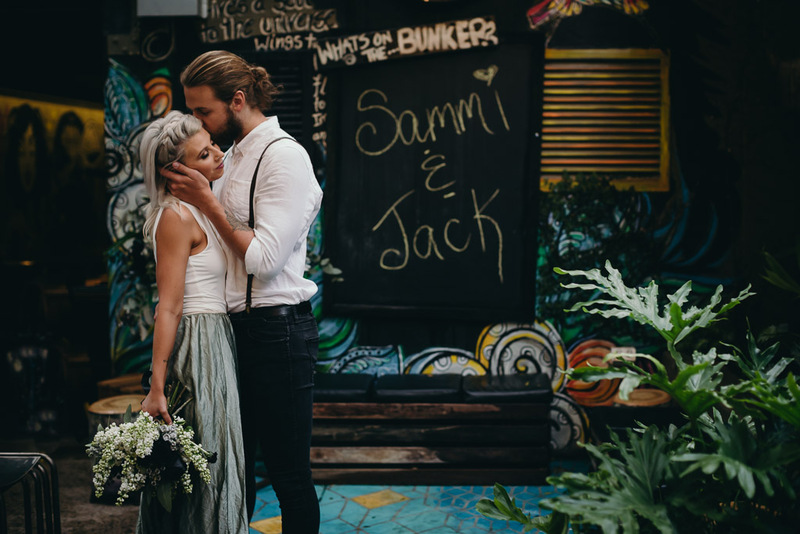 Based on the beautiful Sunshine Coast, their fresh take on wedding and event styling is refined with a personalised, relaxed approach. The girls have made a name for their romantic and intimate affairs and the gorgeous spaces that they create have made them in-demand in and around this beautiful part of the country. A cornerstone of the hinterland village of Eumundi, The Imperial Hotel has been welcoming locals and tourists since its opening in 1911. An iconic venue on the coast, the majestic Queenslander was in need of some love and attention when it was bought by a group of locals in 2014. The hotel had fabulous ‘bones’ but really needed some TLC. 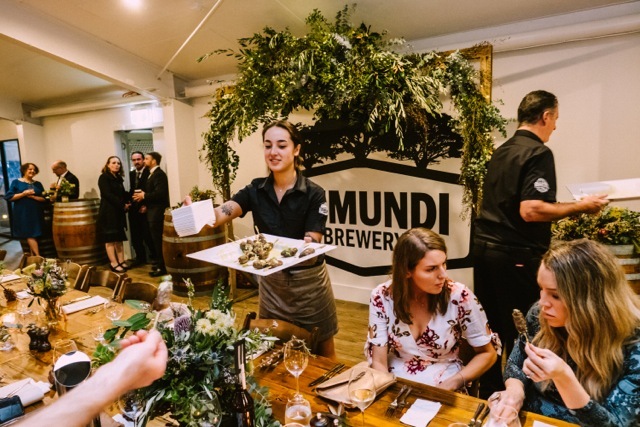 After extensive renovations, The Eumundi Brewery was officially opened in August 2017 and has become a magical mix of historic hotel, bohemian art, and colourful creative groove. The hotel is now a dedicated art and entertainment space with five diverse areas offering settings for every occasion. With its sweeping verandahs and creative décor, this jewel of the hinterland overlooks the leafy main street below, bustling with the activity of the town’s creative community. 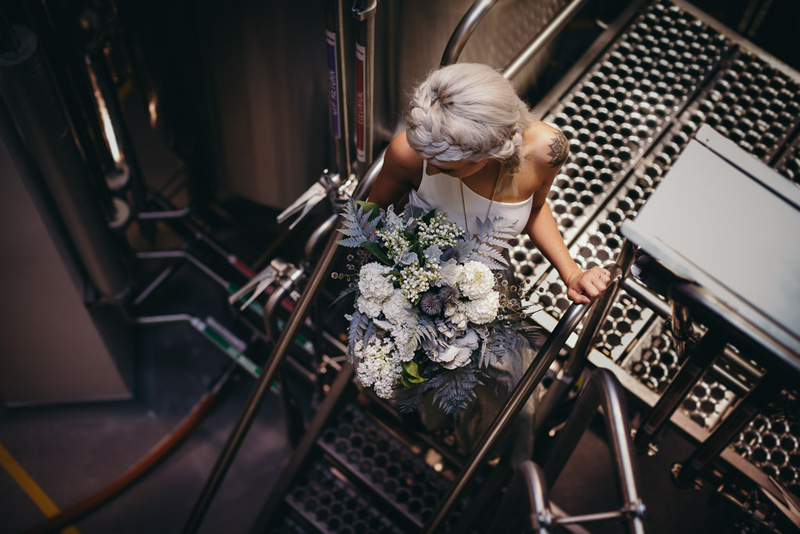 Their premium wedding space ‘The Brewery’ has an industrial vibe and looks over the tops of the stainless steel tanks of the working Eumundi Brewery. Equipped with a fully operational bar, your guests will be able to enjoy the Eumundi Brewery beers tapped direct from the tanks below. 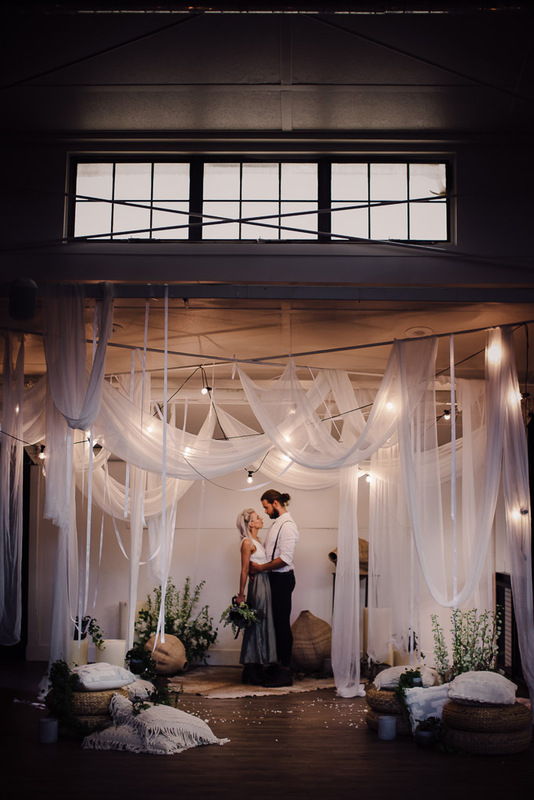 For a more intimate wedding, consider the enchanting space they call ‘The Green Room’. With its French doors and old world ambience, The Green Room features a private bar, raised stage space and themed restrooms. It opens onto the sweeping upstairs verandah of the hotel, which can be also cordoned off for the exclusive use of your guests. Or for a smaller wedding with an edgy groove, consider the space they call ‘The Bunker’. It’s underground; fabulously raw with concrete walls and exposed pipes, and is seriously soundproofed! 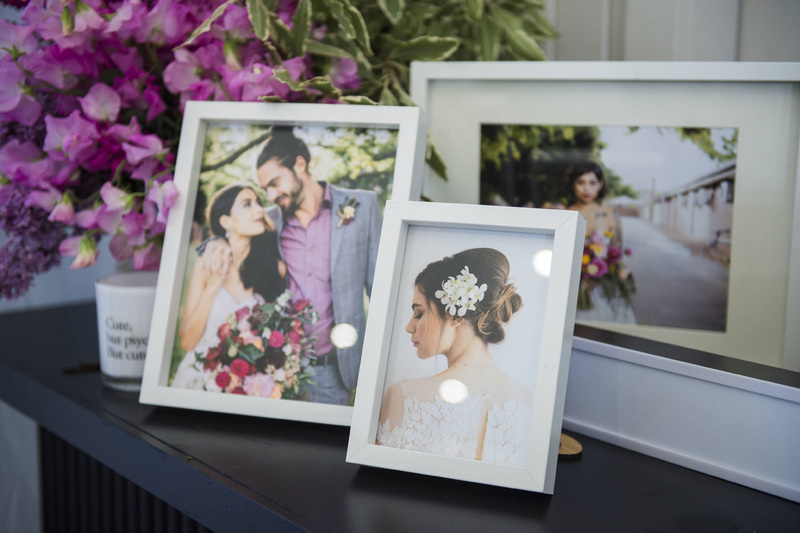 These guys have thought of everything and when it comes to florists, stylists and photographers, they have partnered with the best in the business to ensure the space looks exactly as you’ve dreamed of for your special occasion. And don’t get us started on the food! Head chef Cale Dempsey’s functions menu incorporates fresh, seasonal produce from the region and offers a selection of modern global foods. They go above and beyond to tailor a menu that compliments your event and delights even the pickiest of eaters. This is a venue not to be missed and the wonderful team from The Imperial Hotel will be at the Sunshine Coast Wedding Fair ready for you to pick their brain! 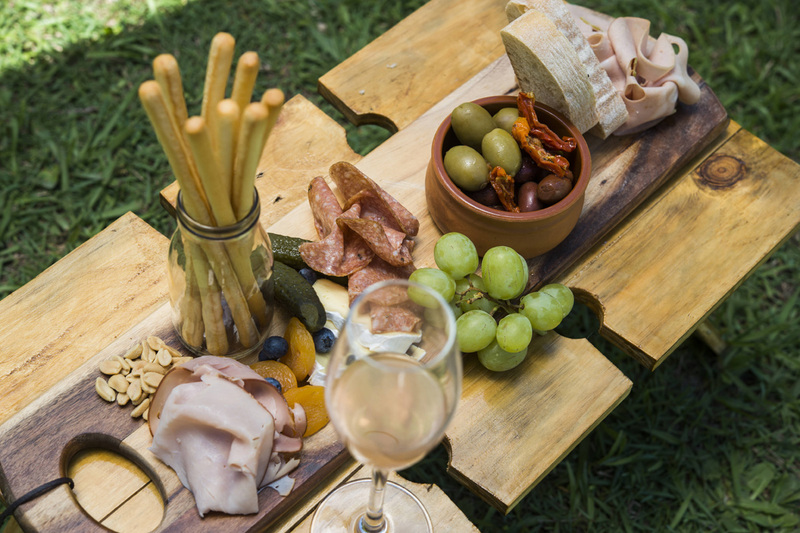 To find out more about The Imperial Hotel Eumundi, visit their website or find them on Facebook.